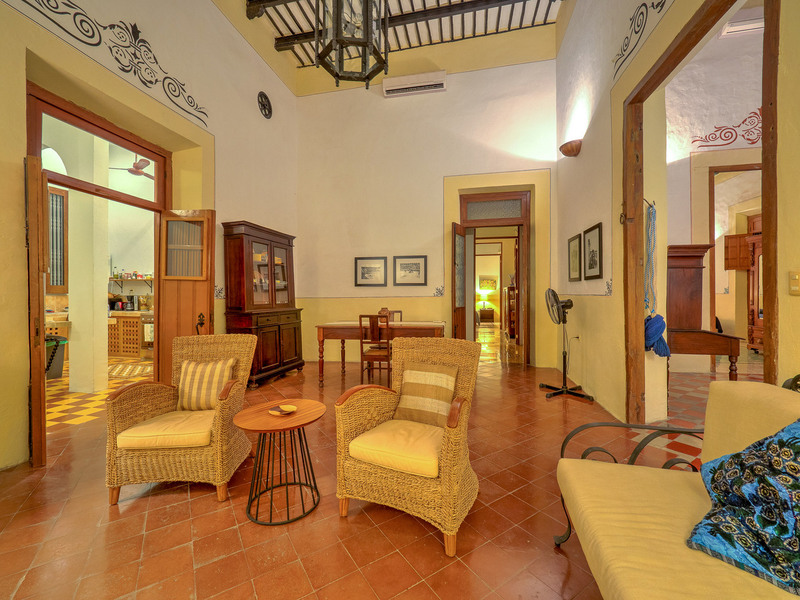 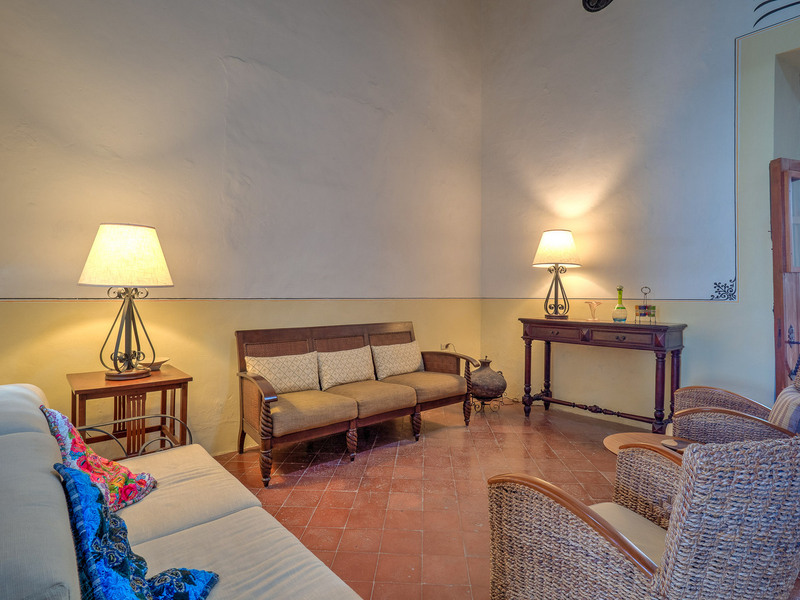 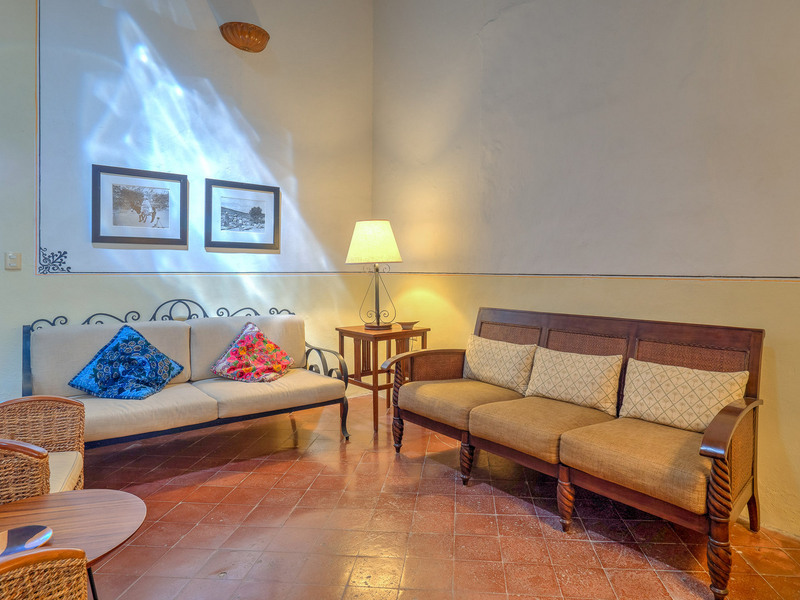 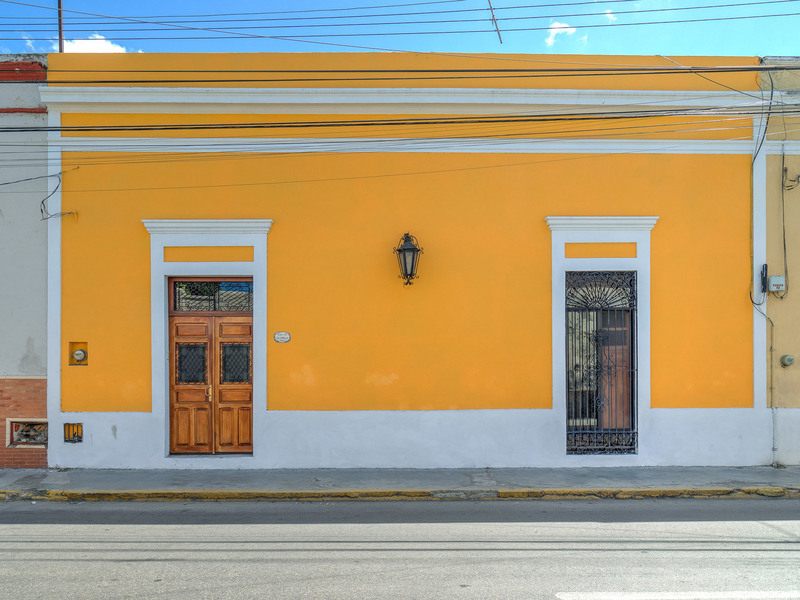 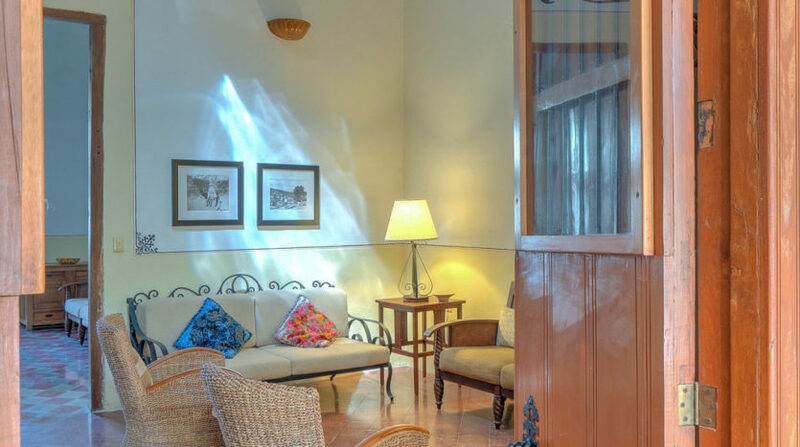 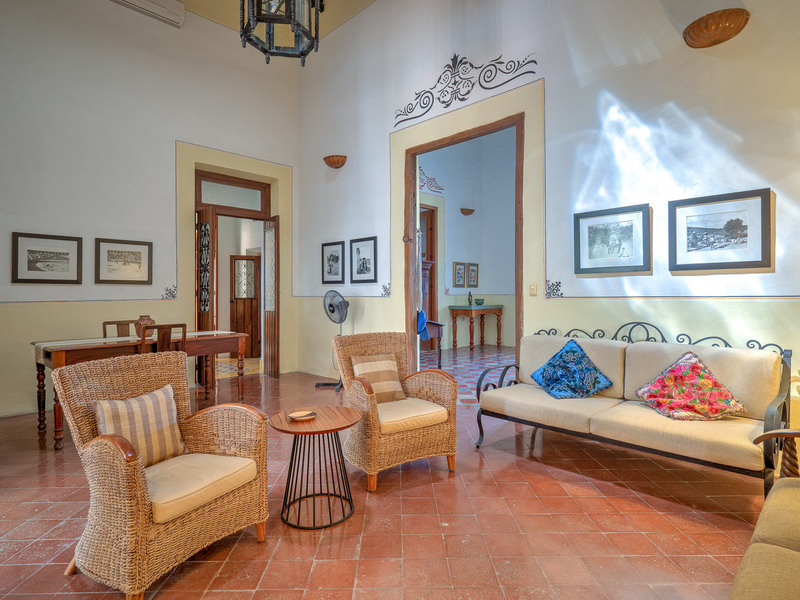 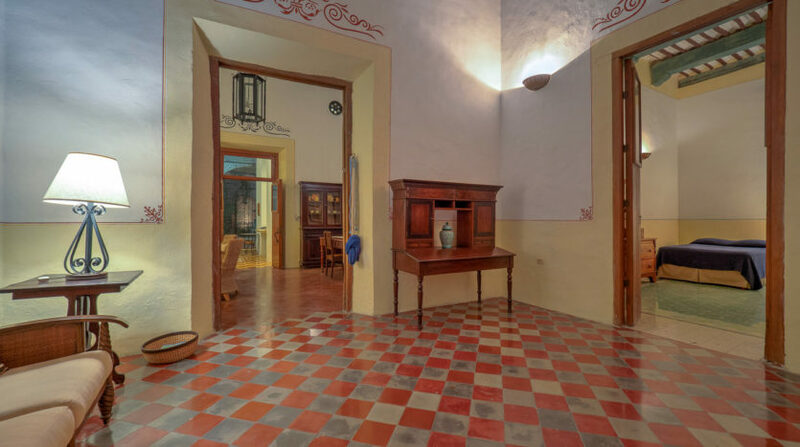 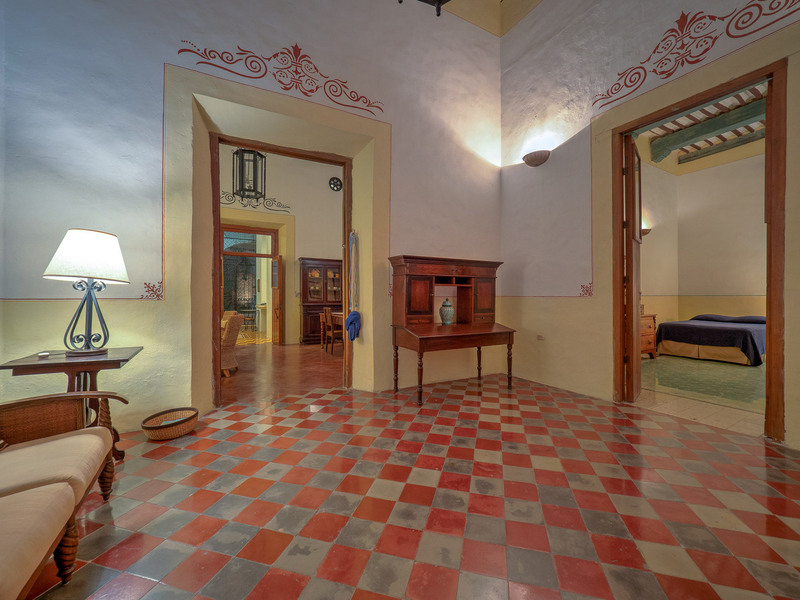 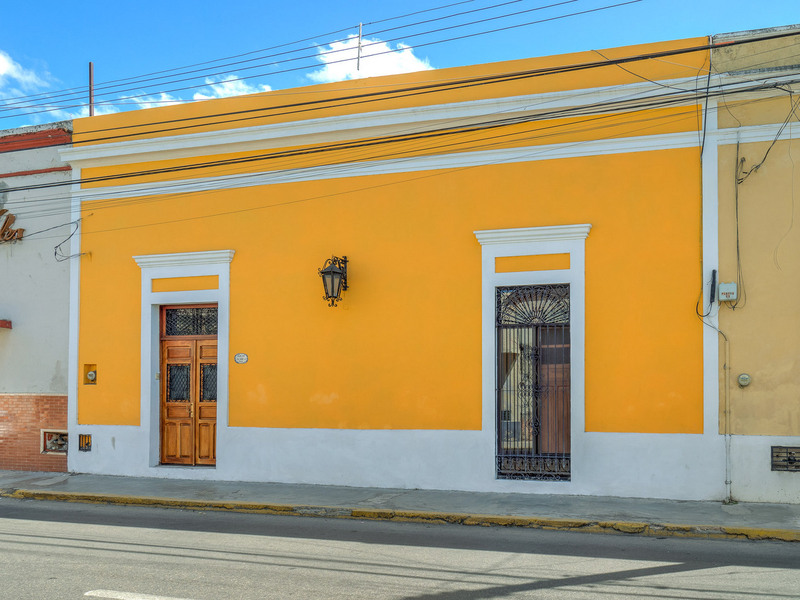 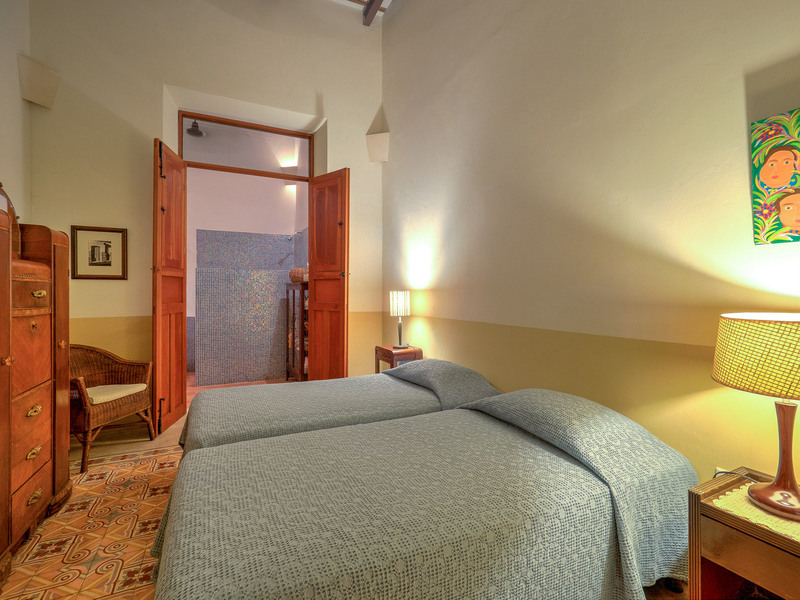 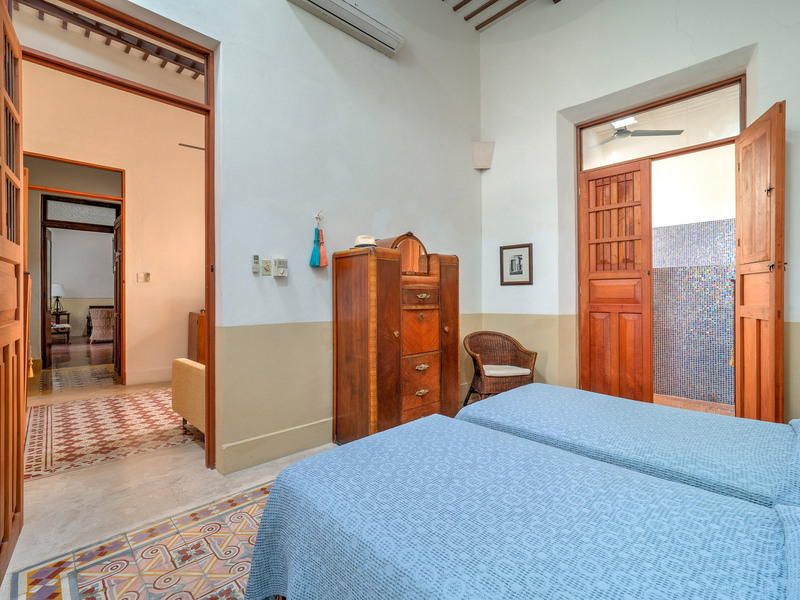 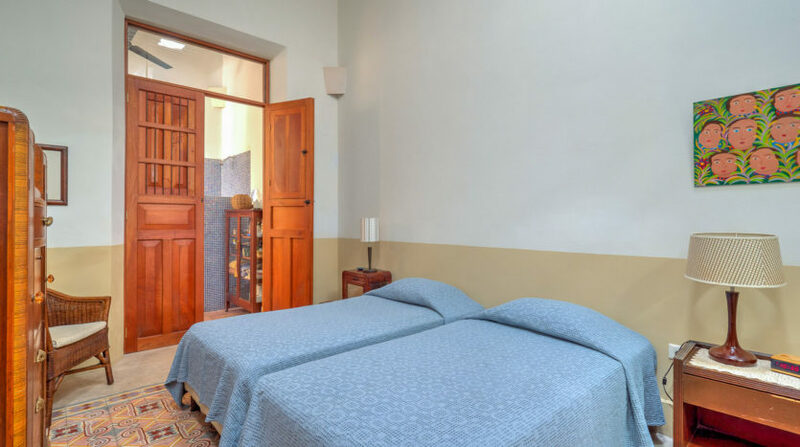 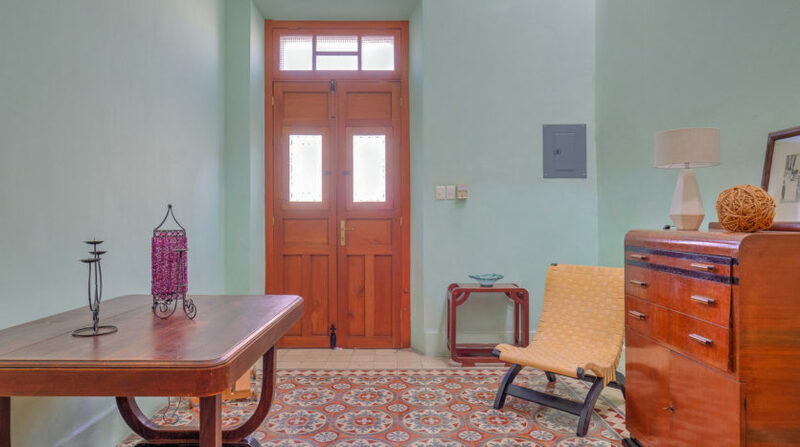 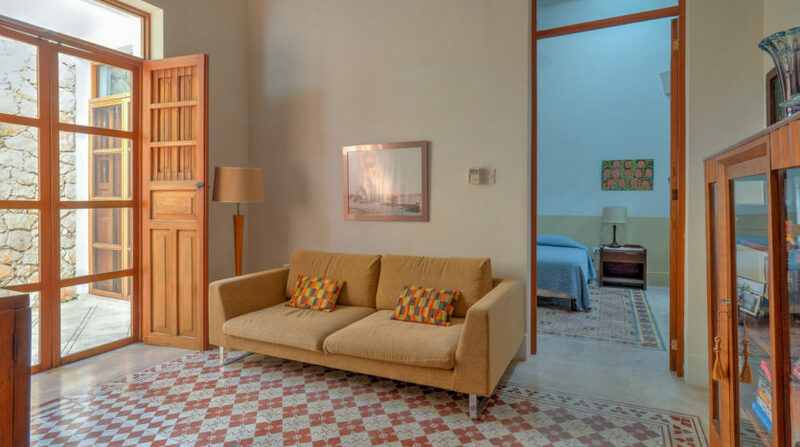 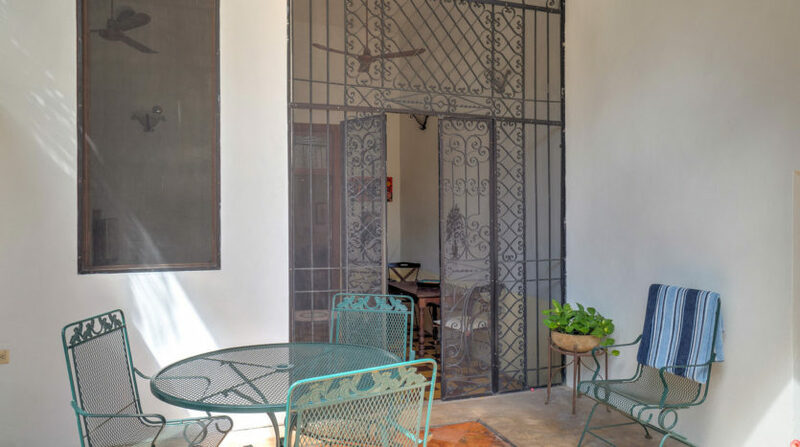 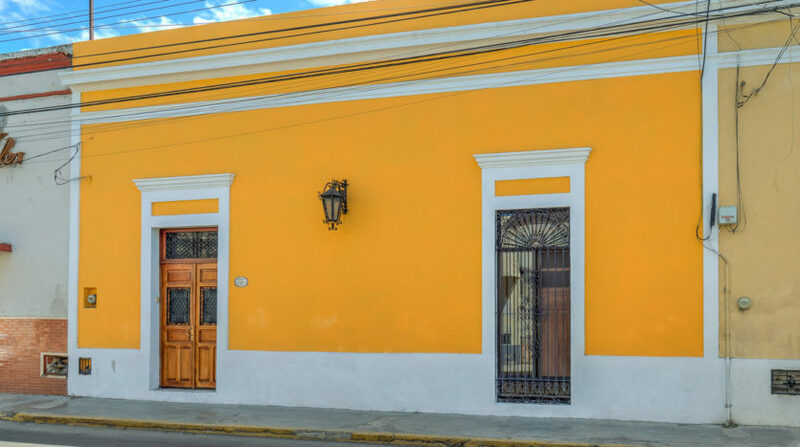 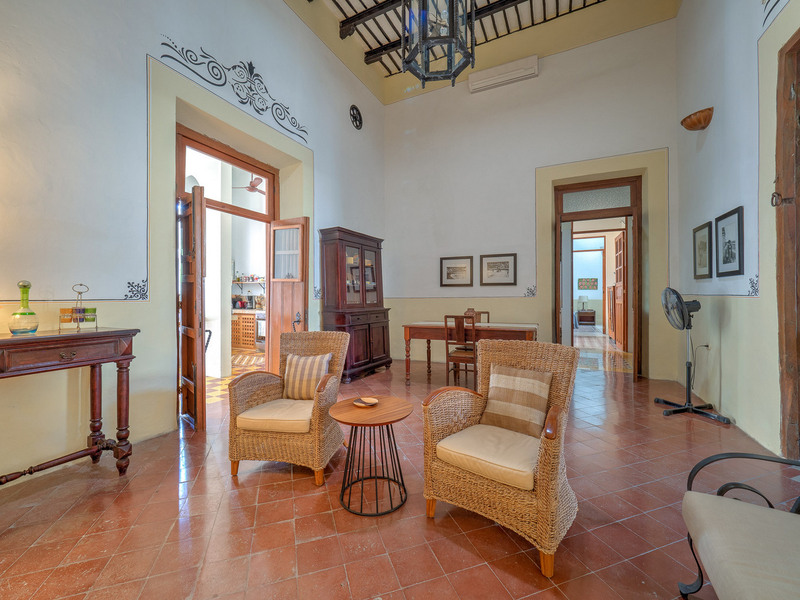 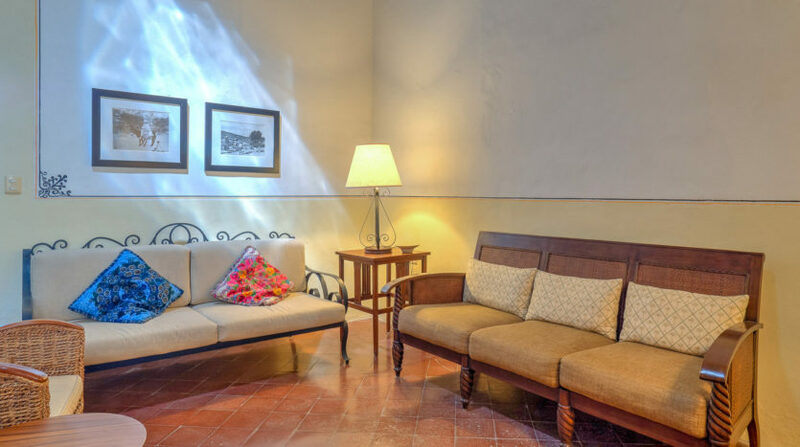 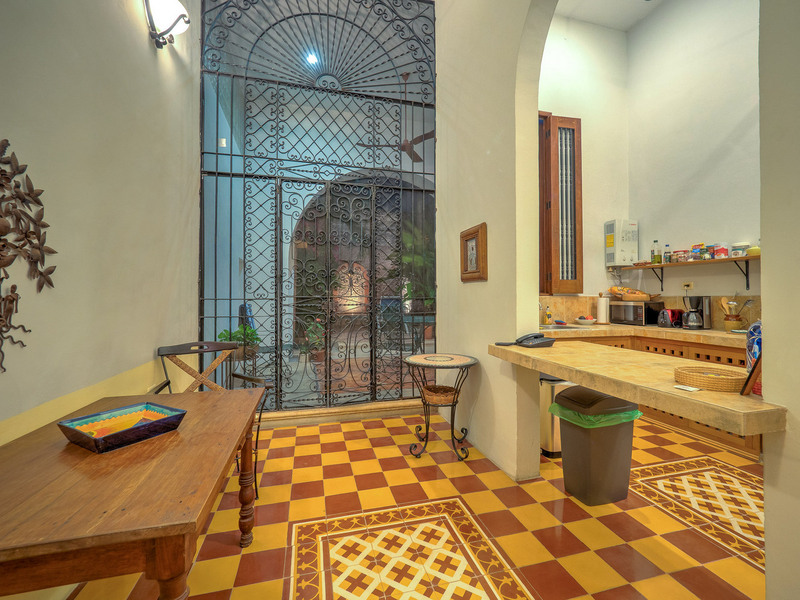 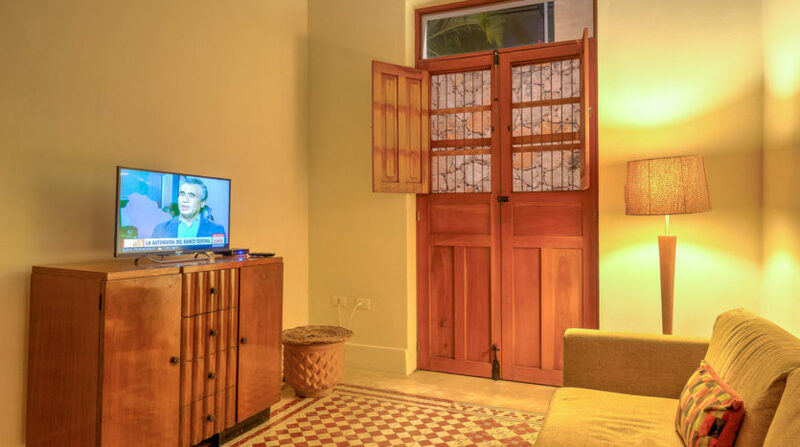 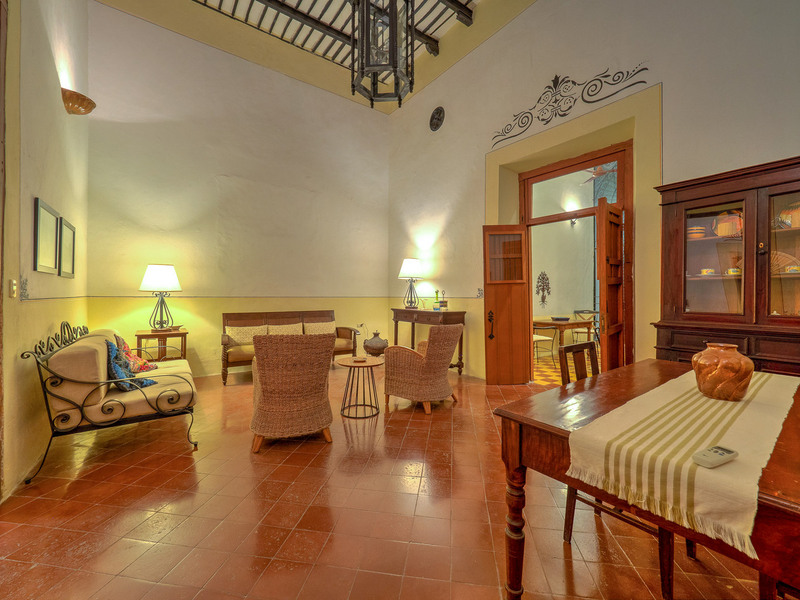 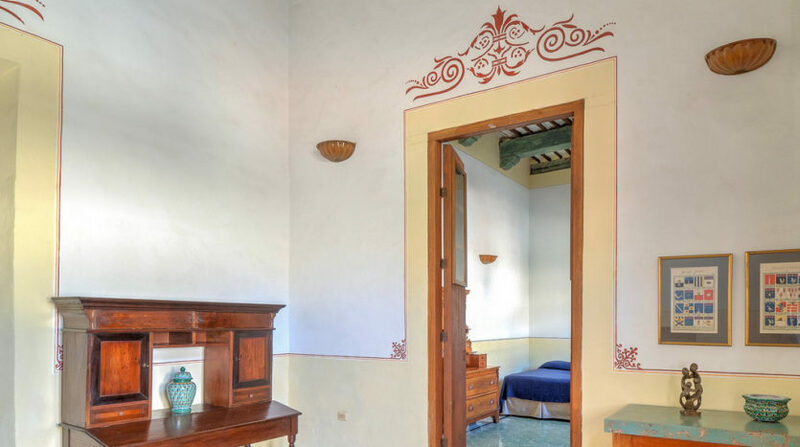 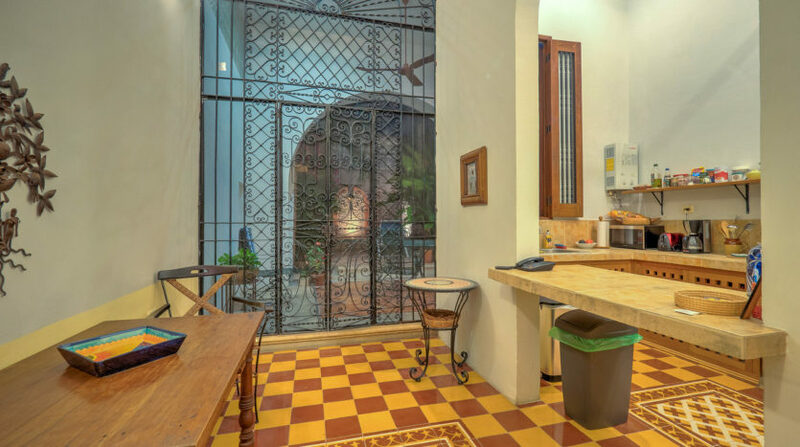 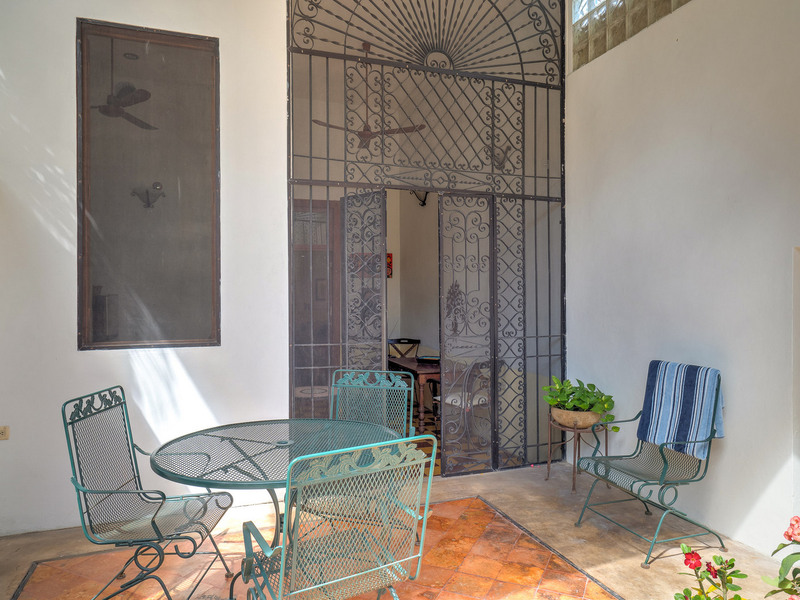 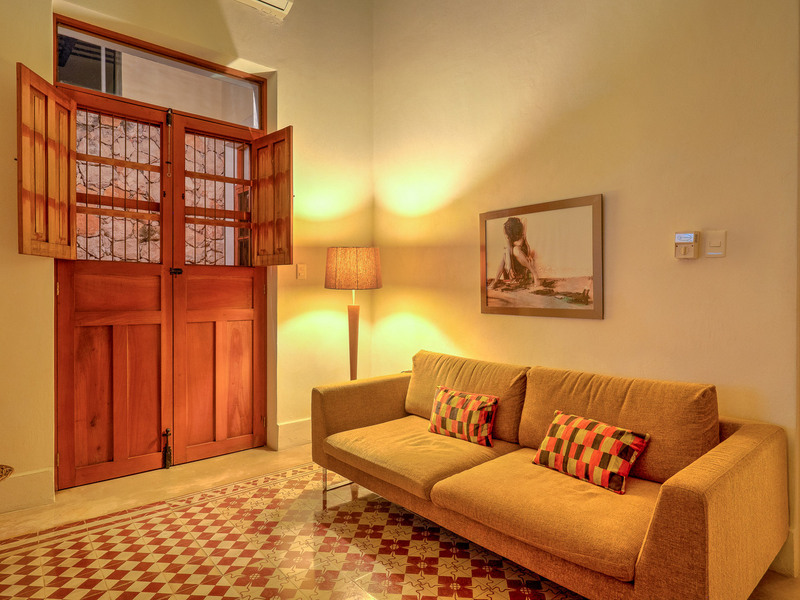 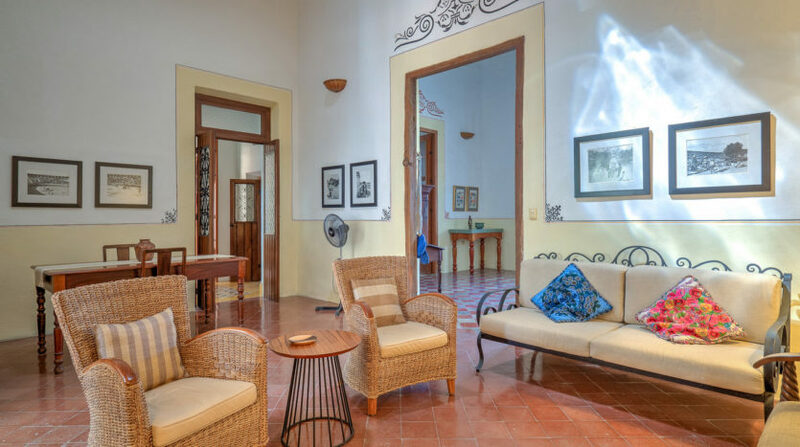 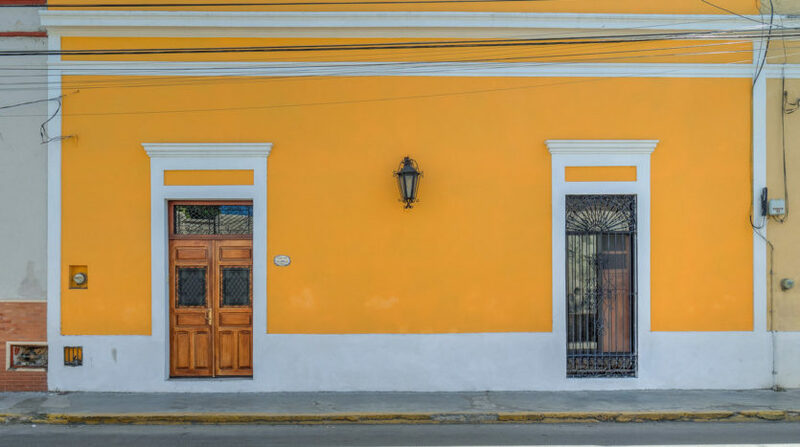 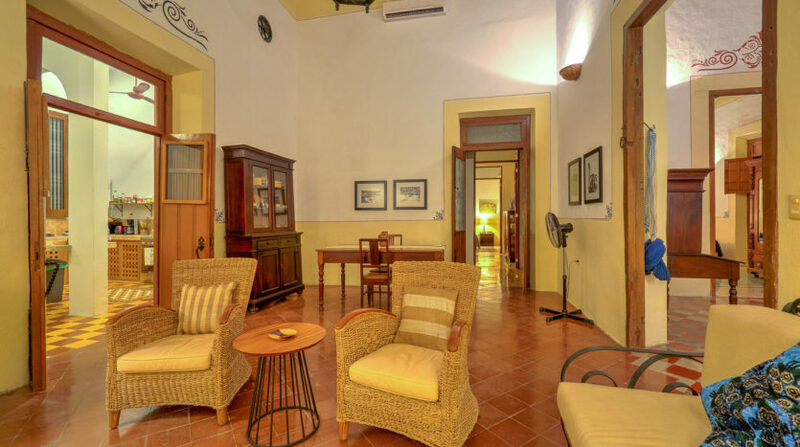 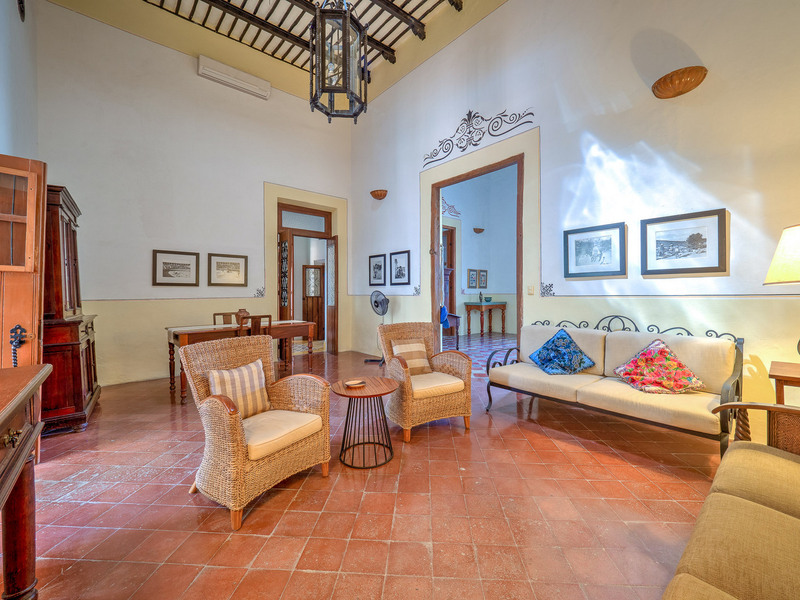 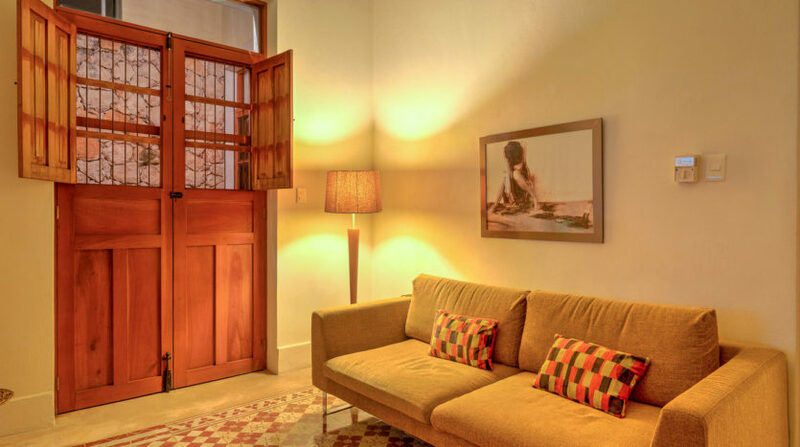 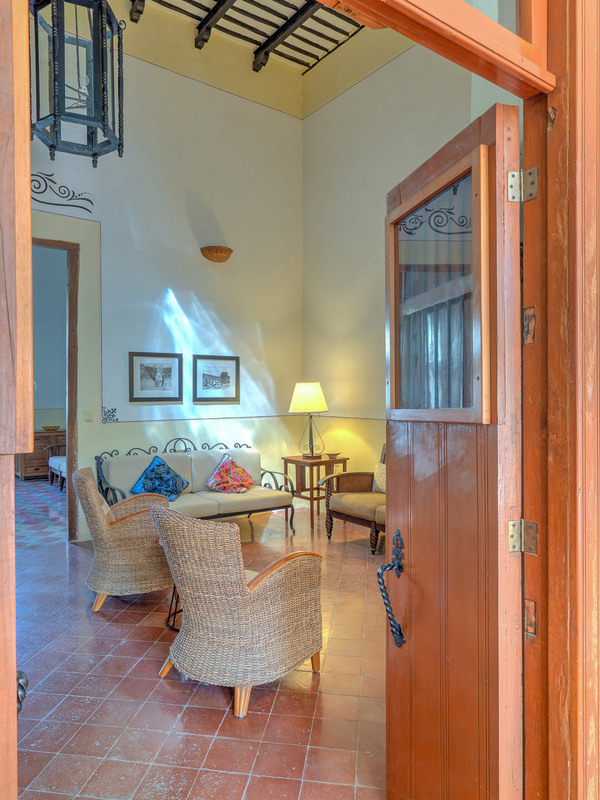 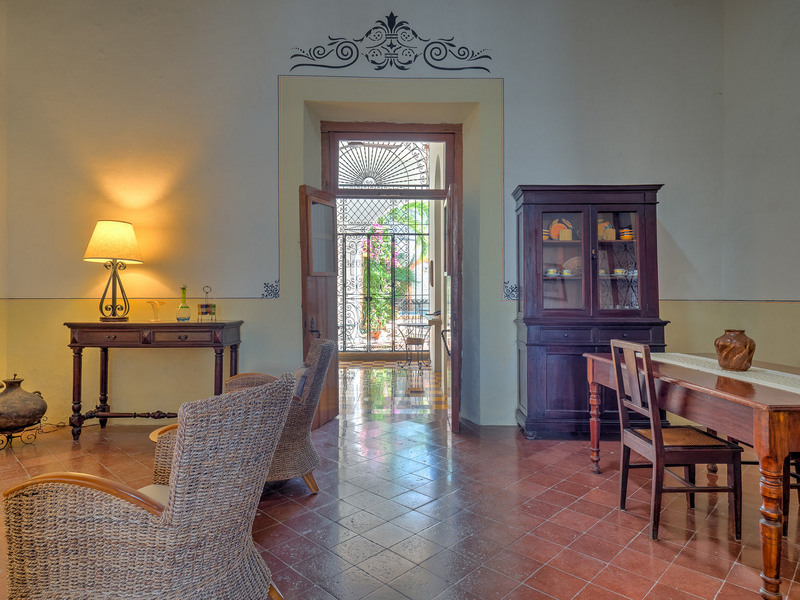 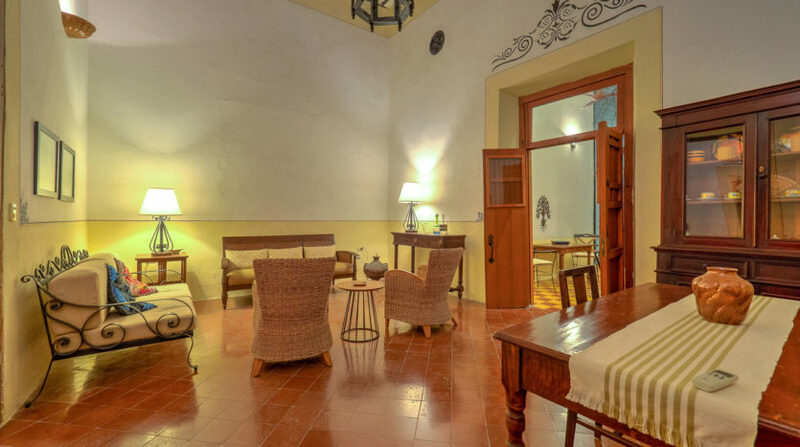 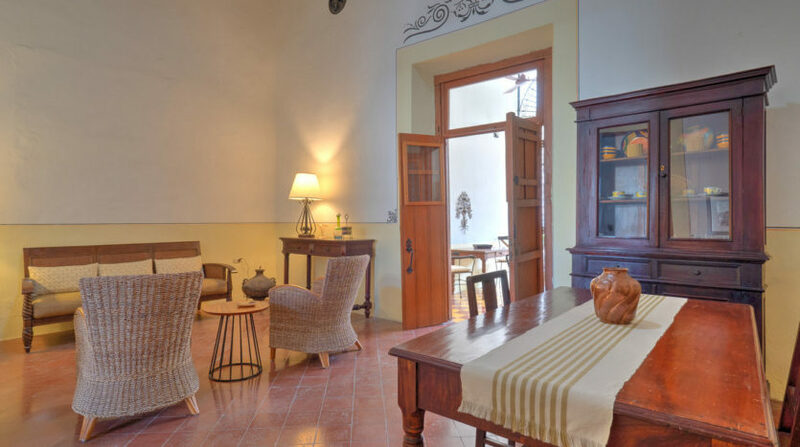 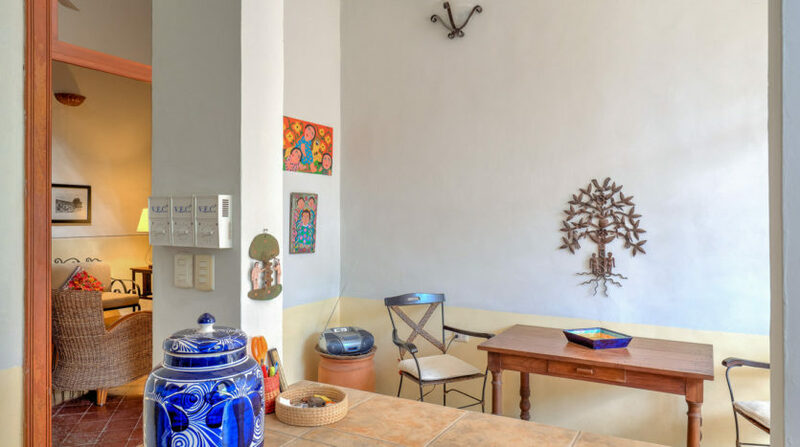 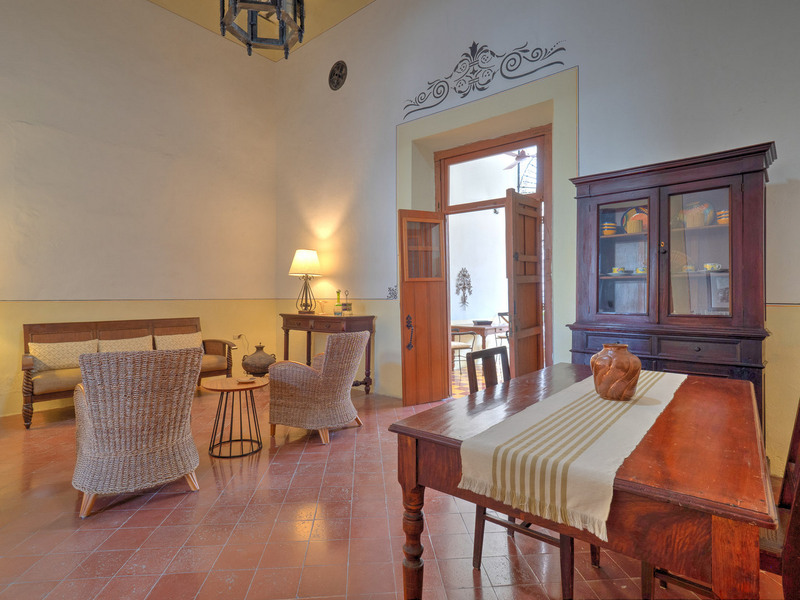 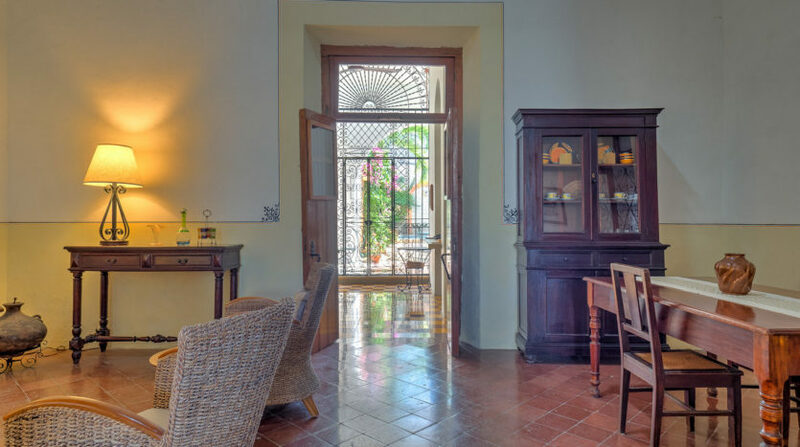 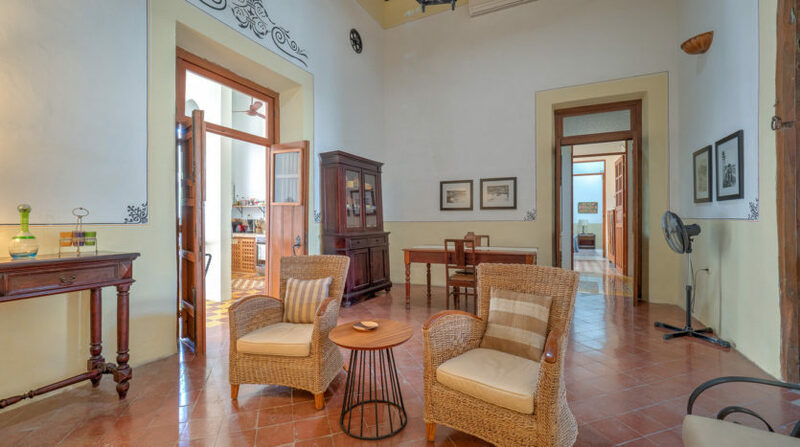 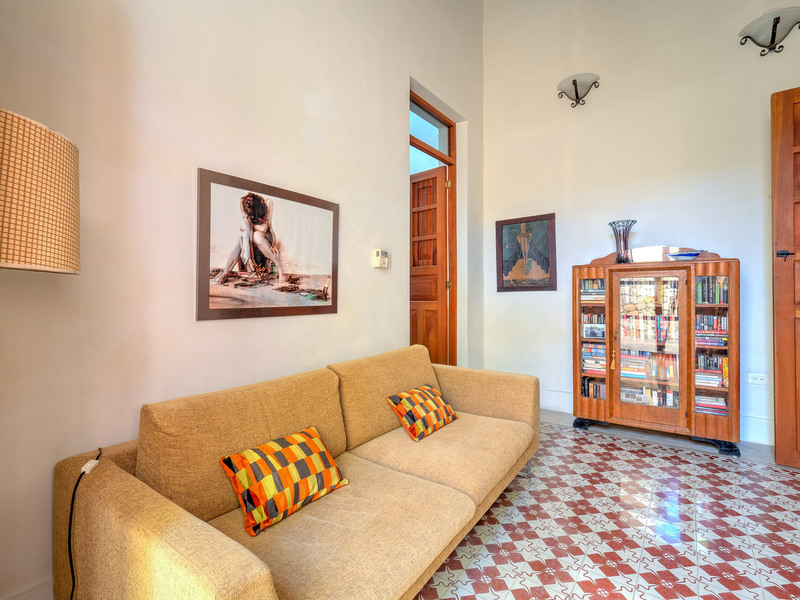 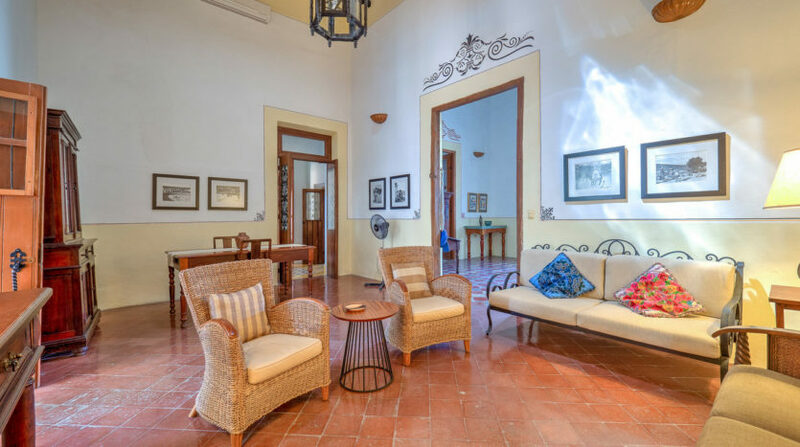 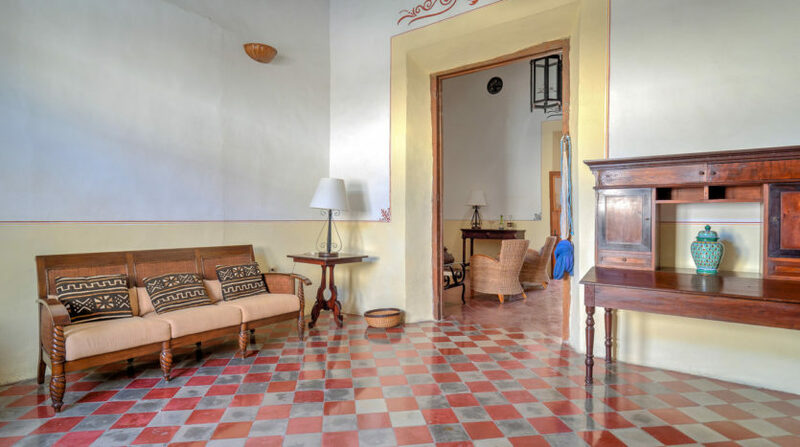 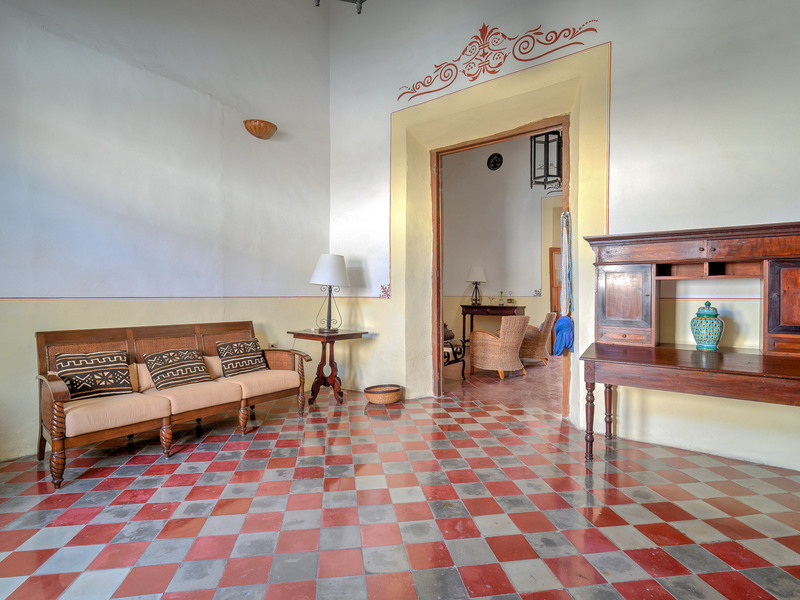 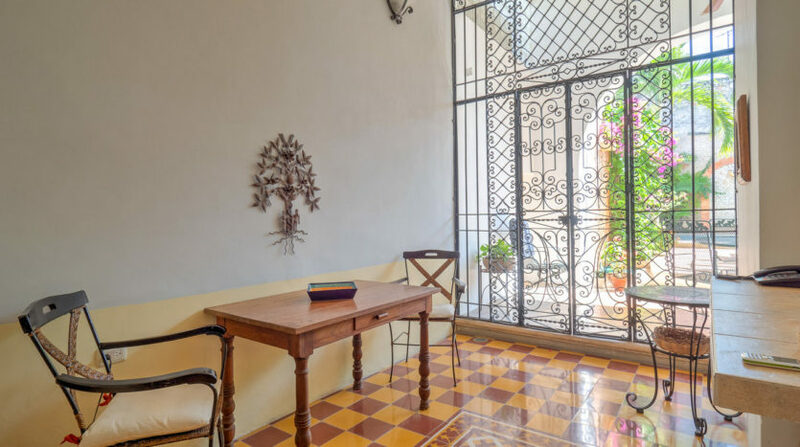 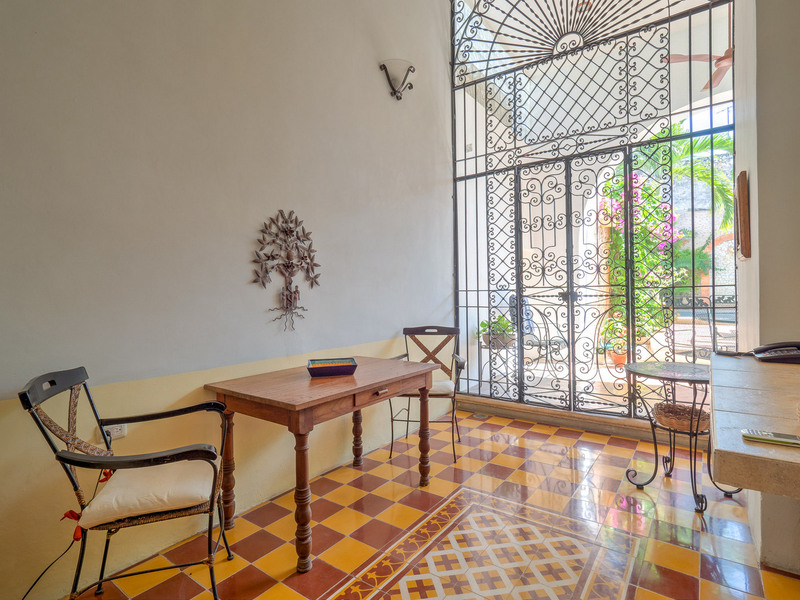 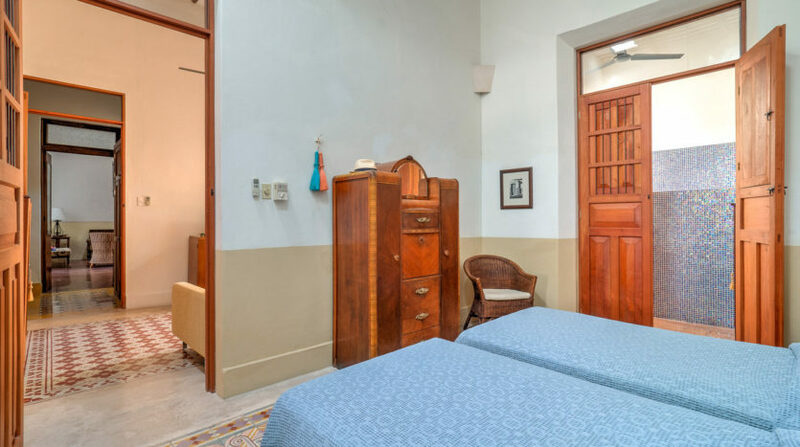 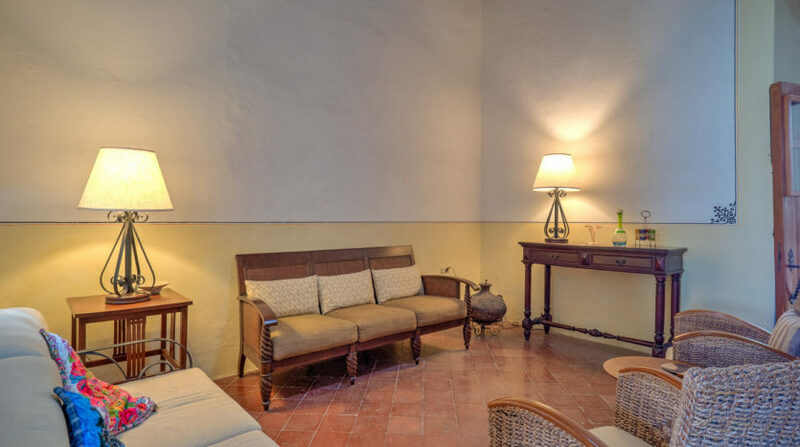 Take a step back in time with Casa Simona, a restored Merida colonial, ideally situated in the Santa Lucia area of Centro, just one and a half blocks from Parque Santa Lucia with its gourmet restaurants and cultural offerings. 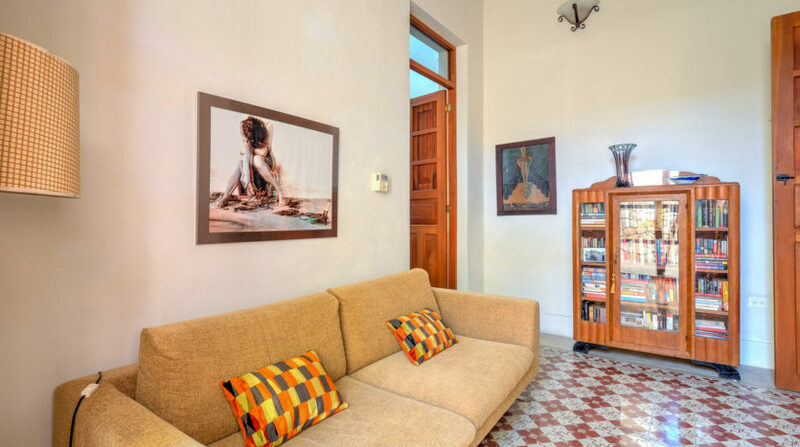 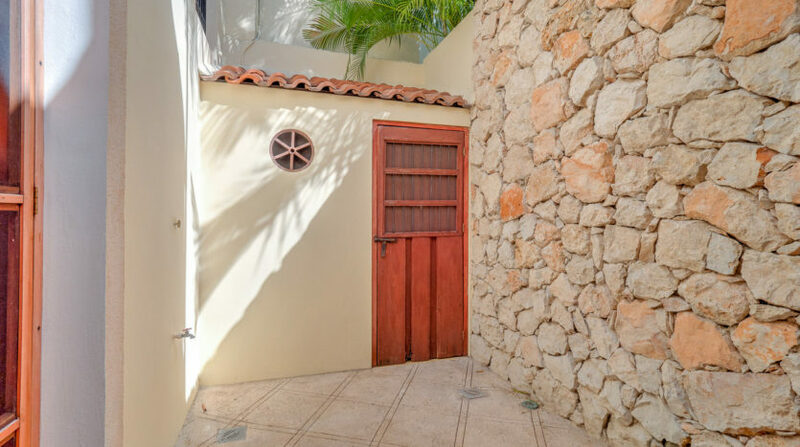 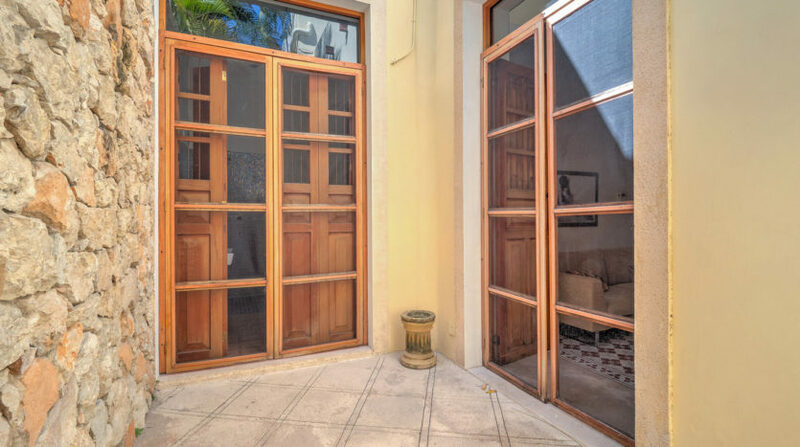 It is also very conveniently located for walks to the famed Paseo de Montejo, Plaza Grande, shopping, art galleries, restaurants and other local activities. 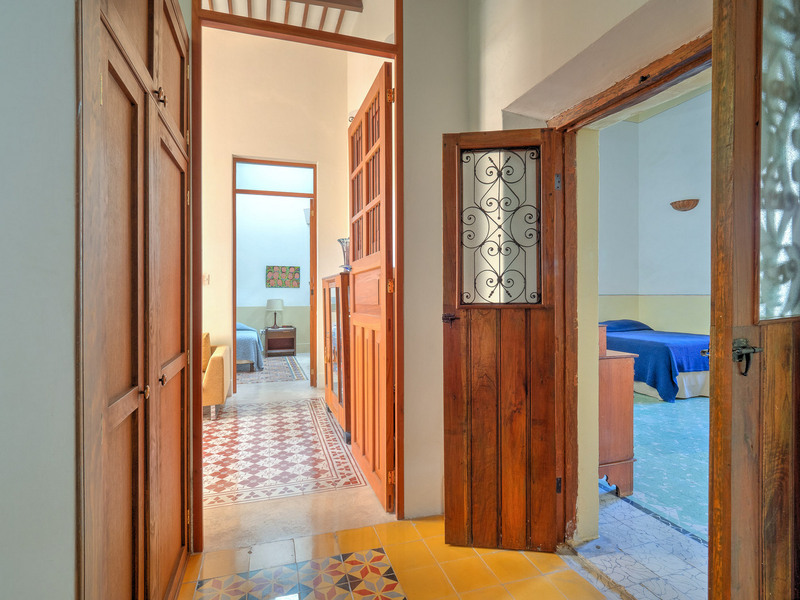 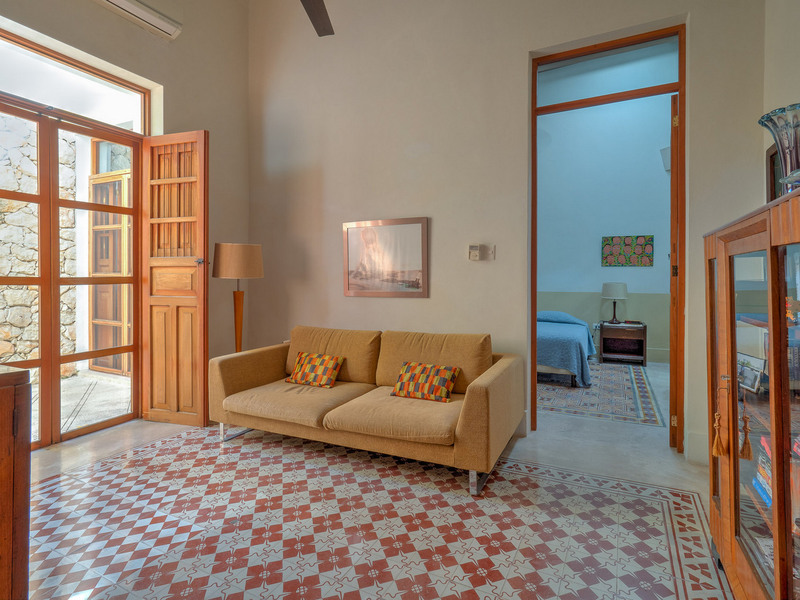 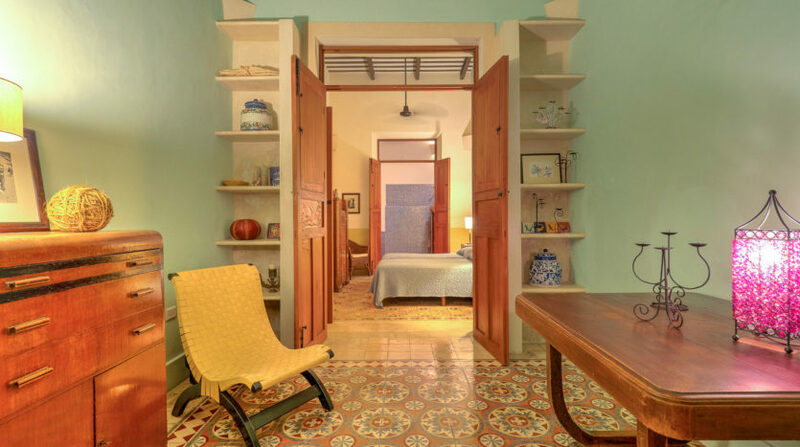 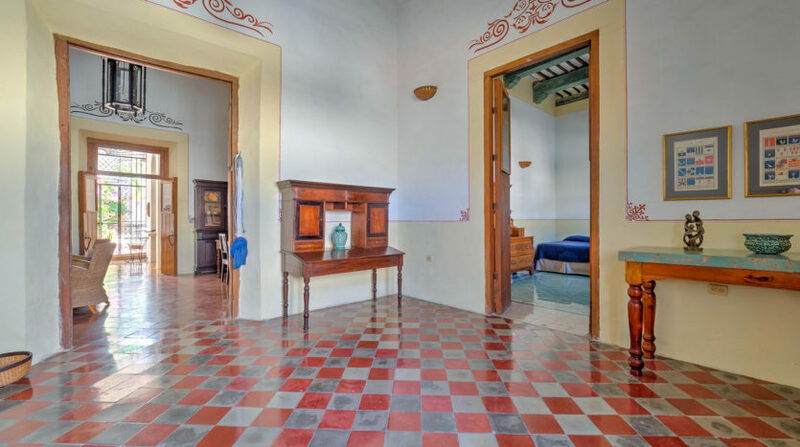 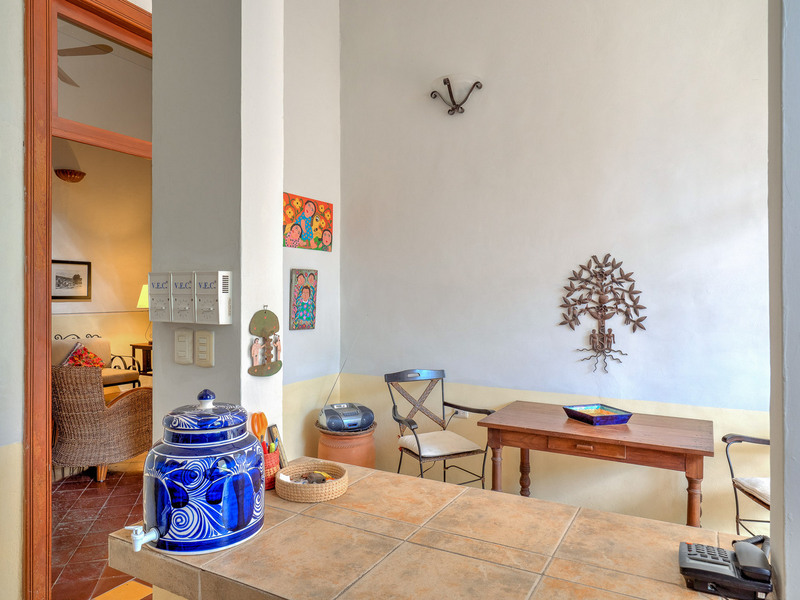 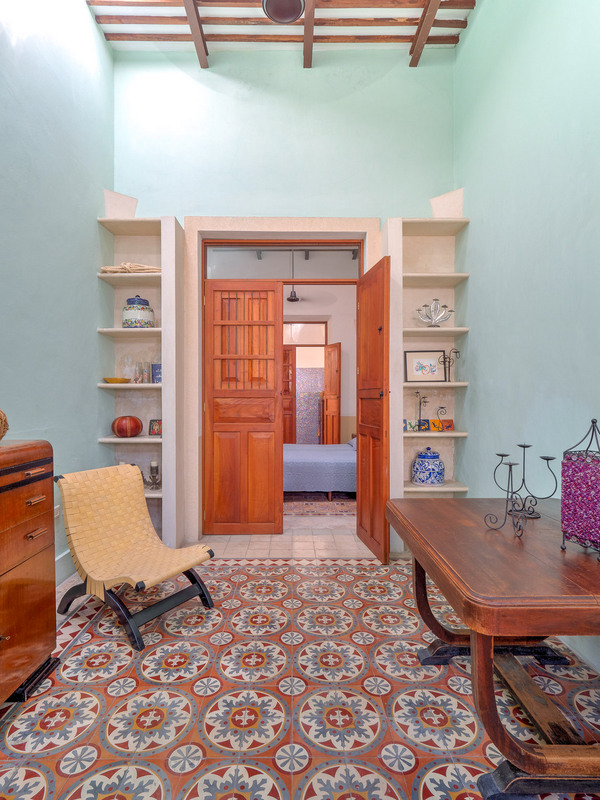 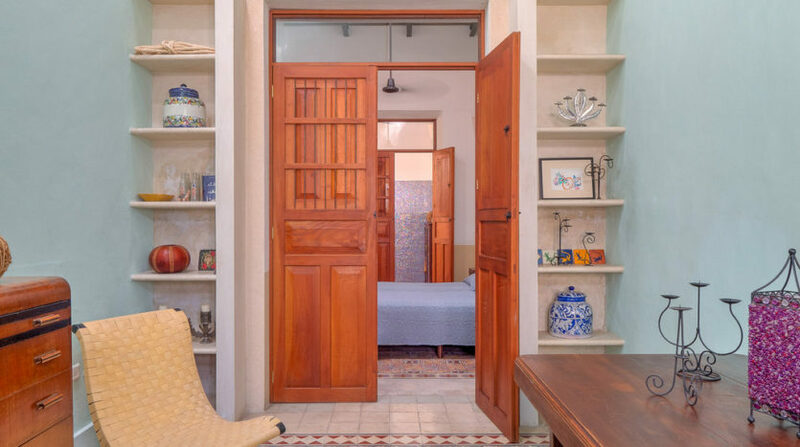 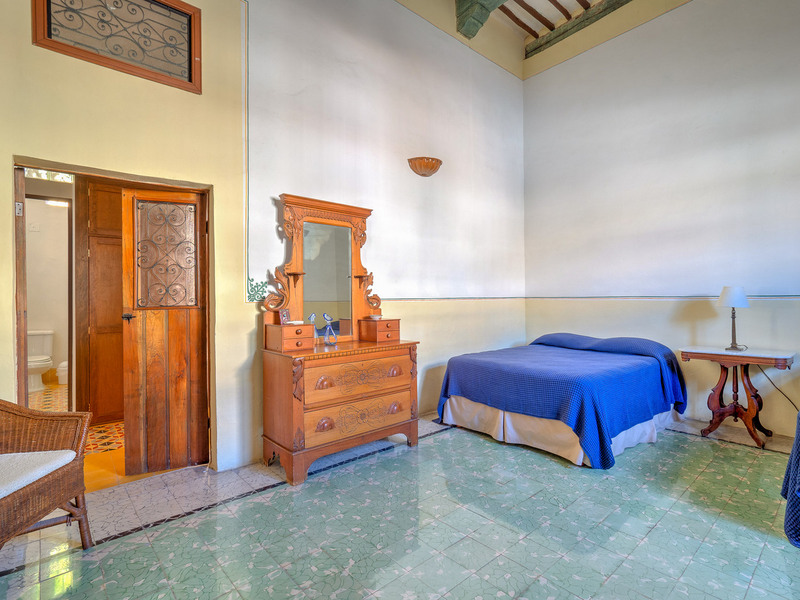 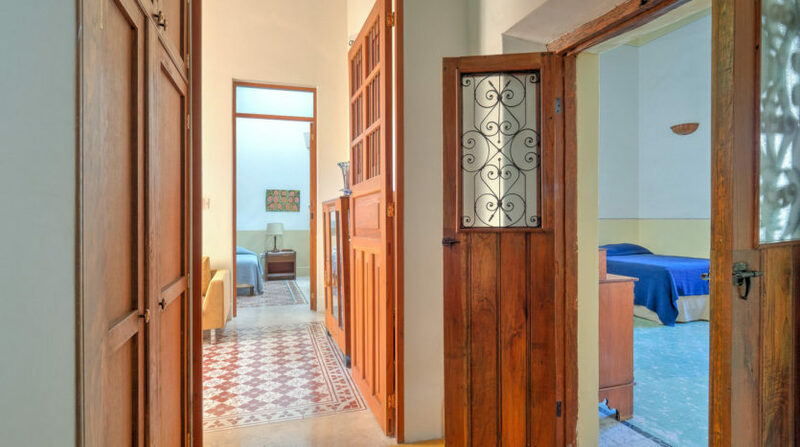 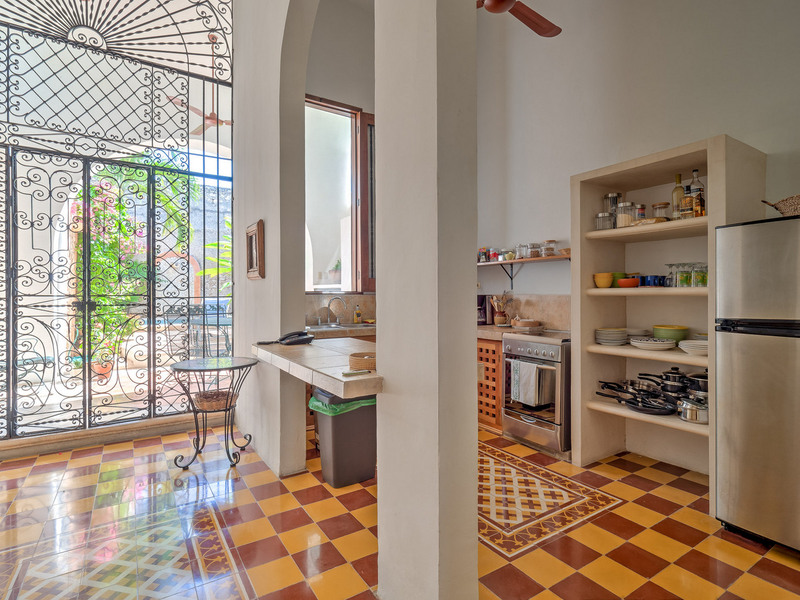 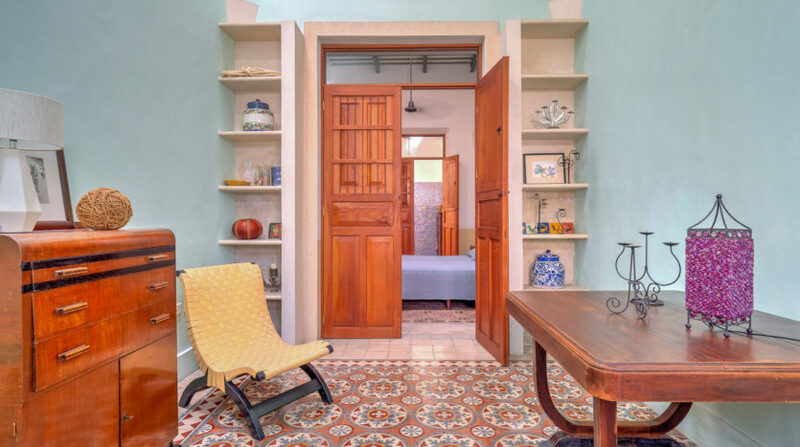 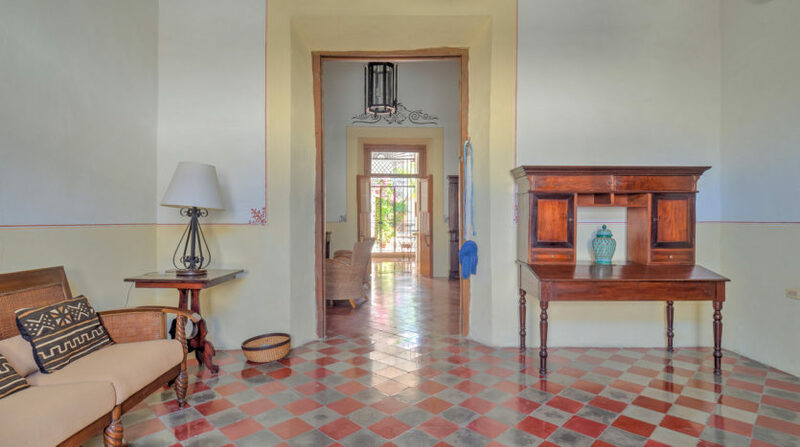 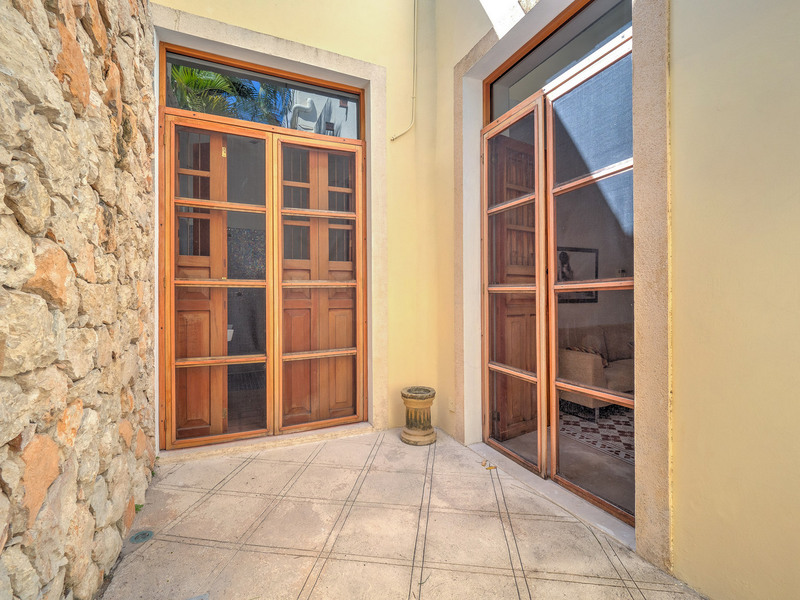 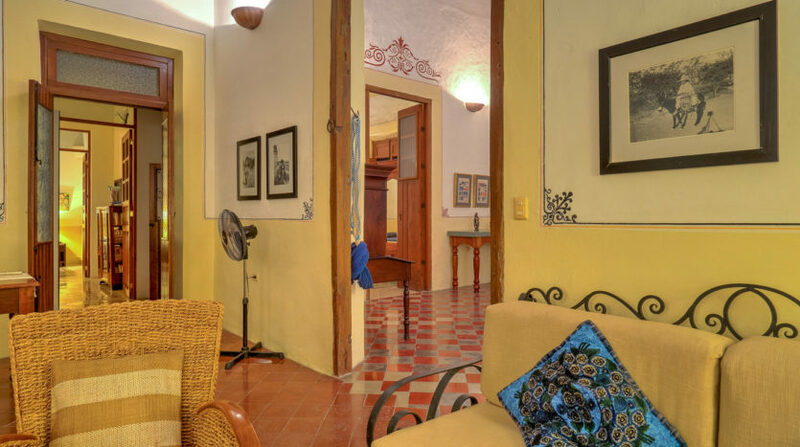 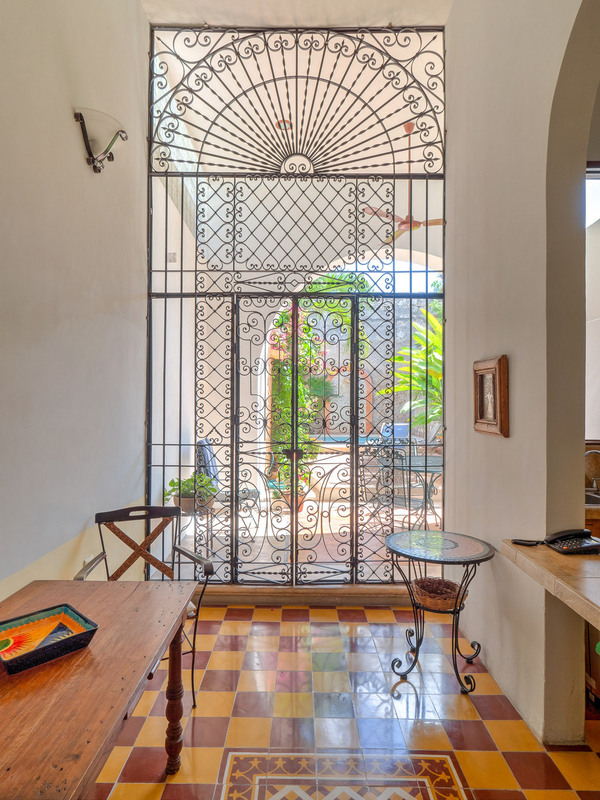 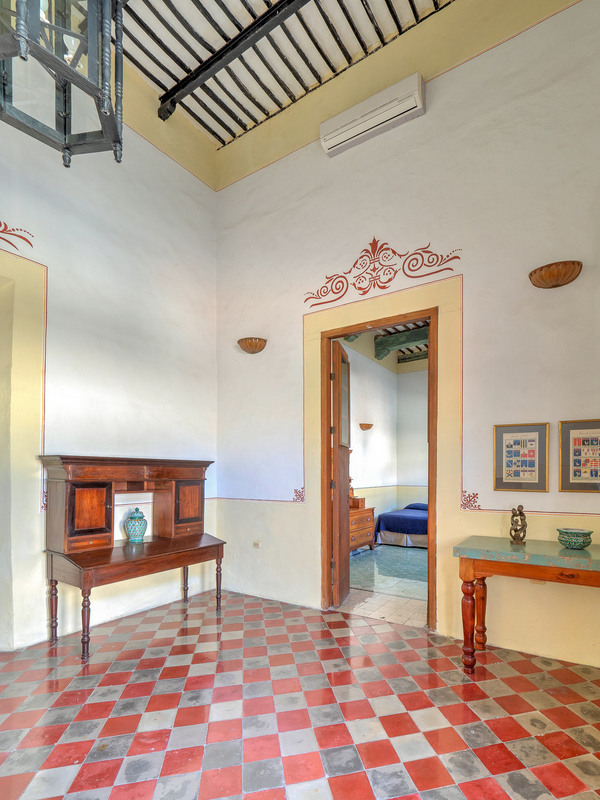 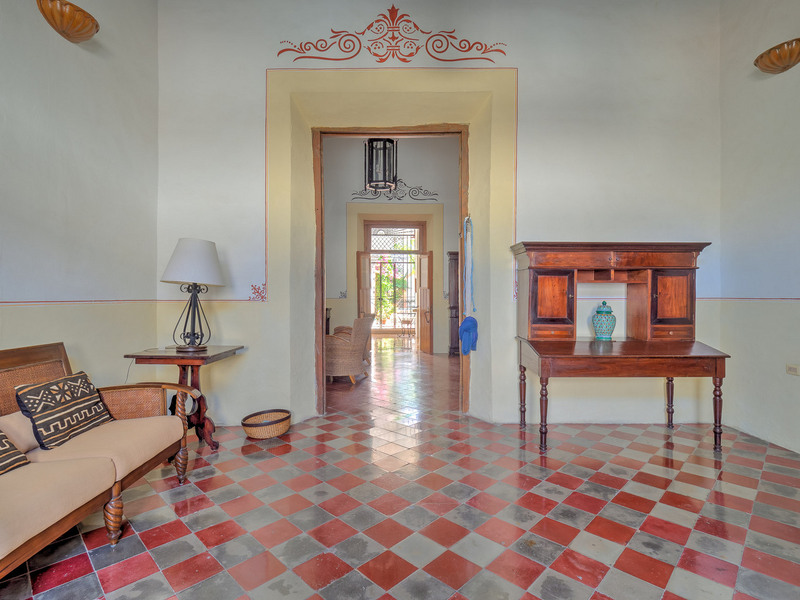 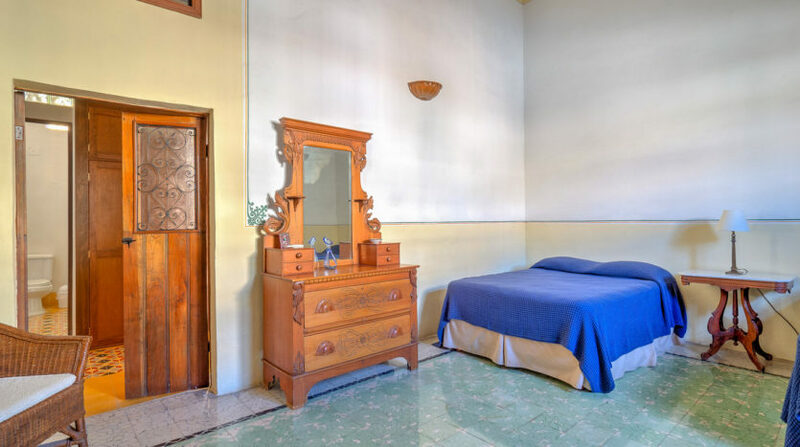 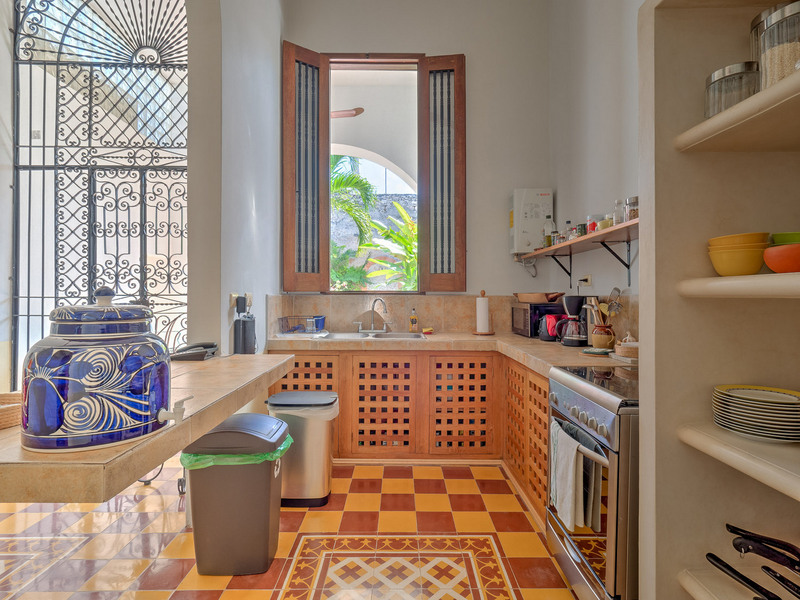 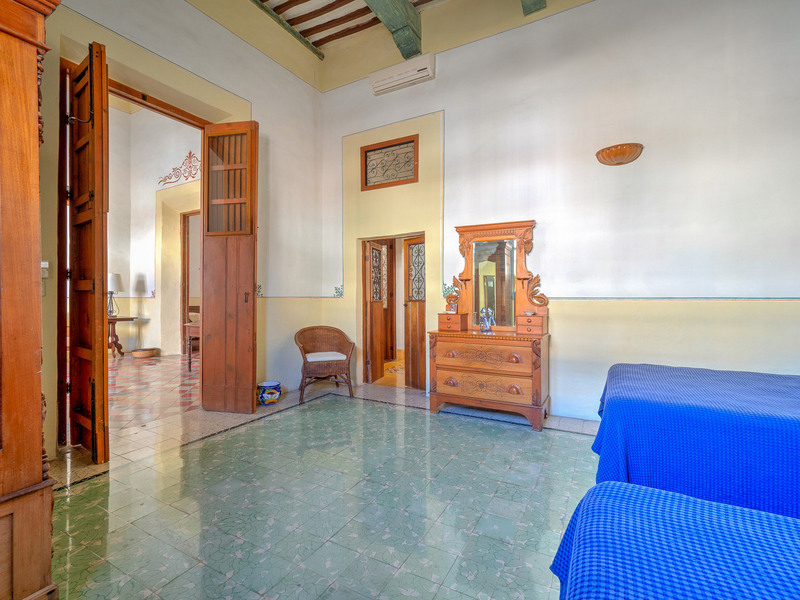 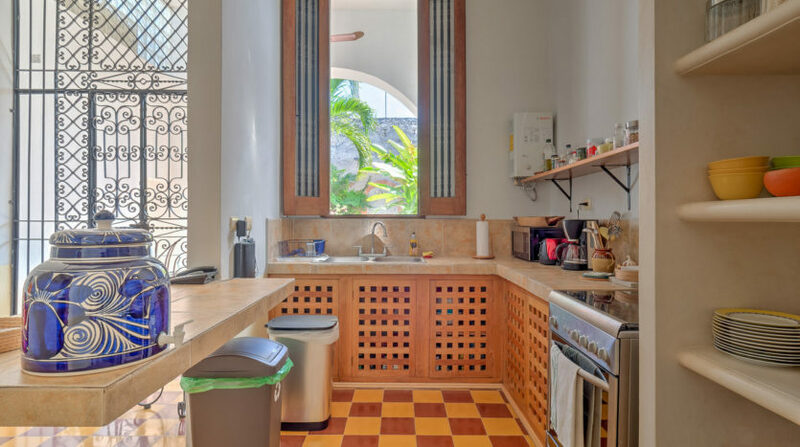 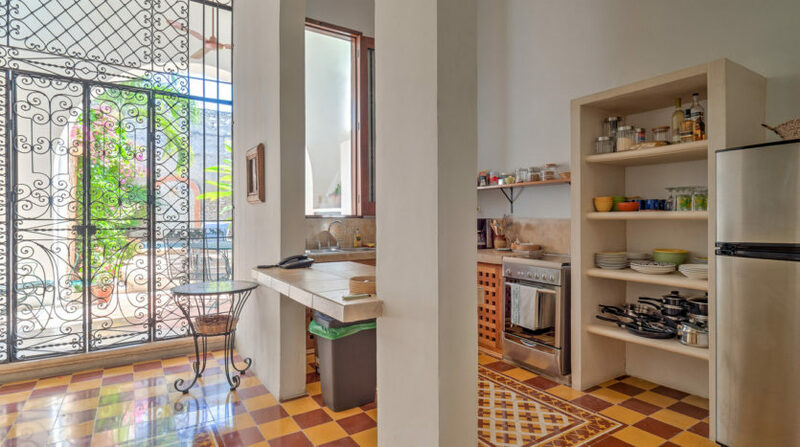 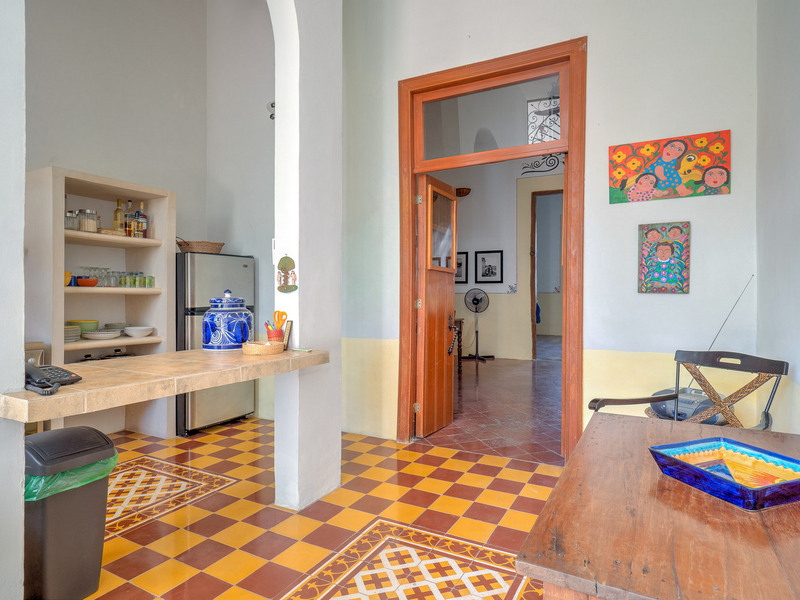 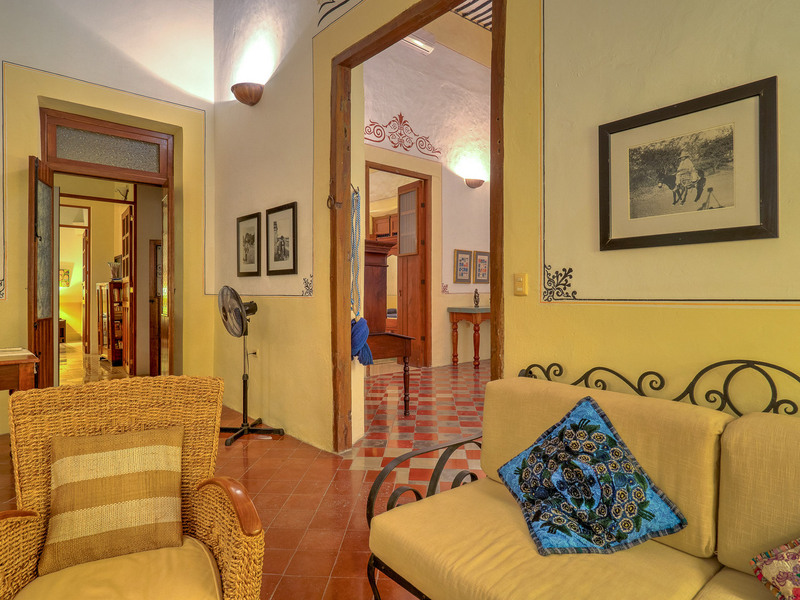 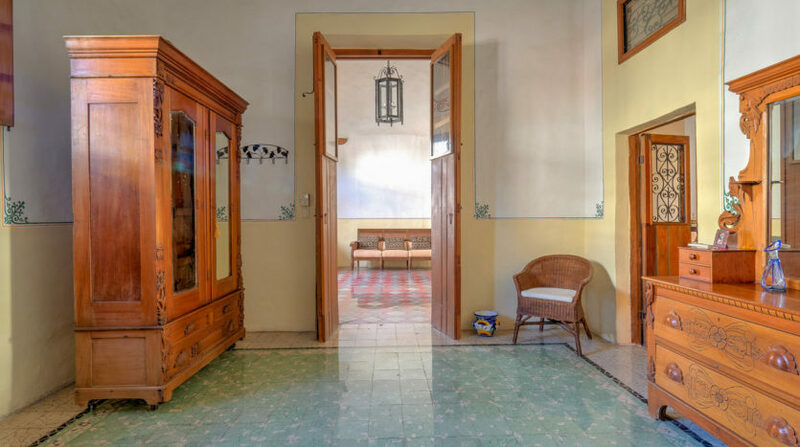 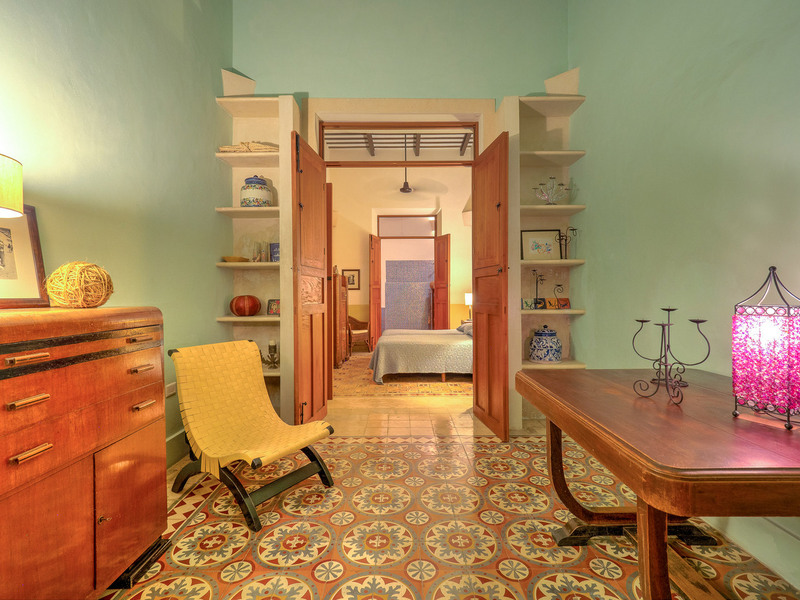 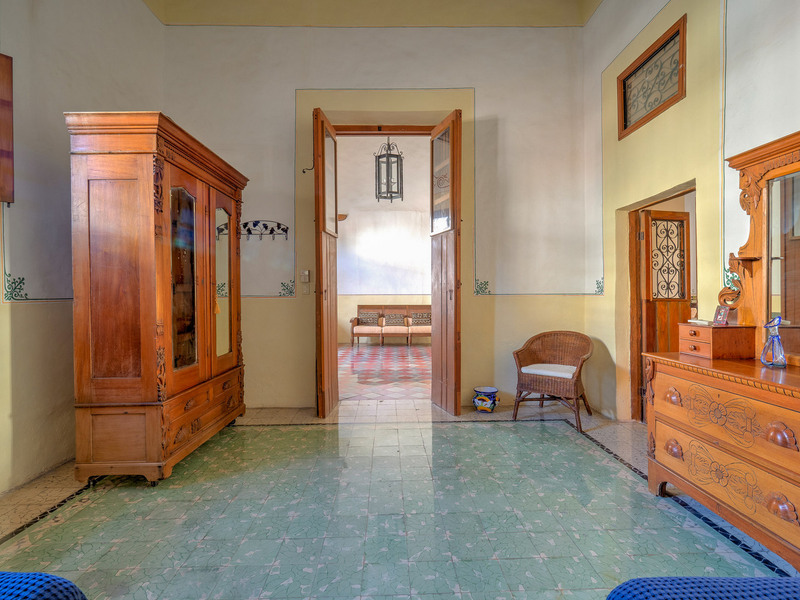 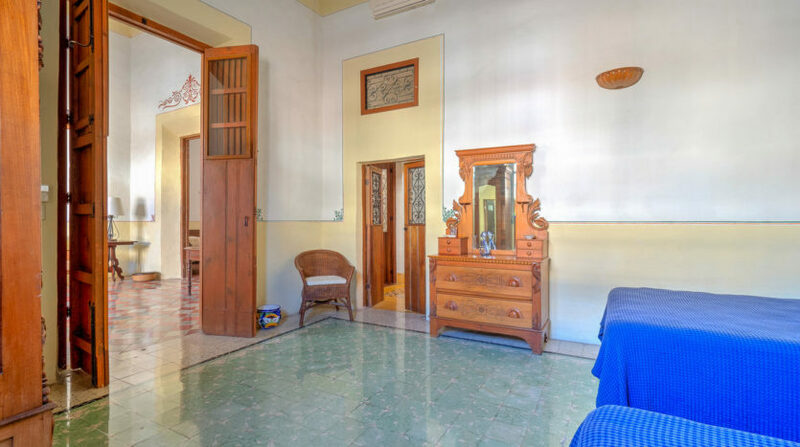 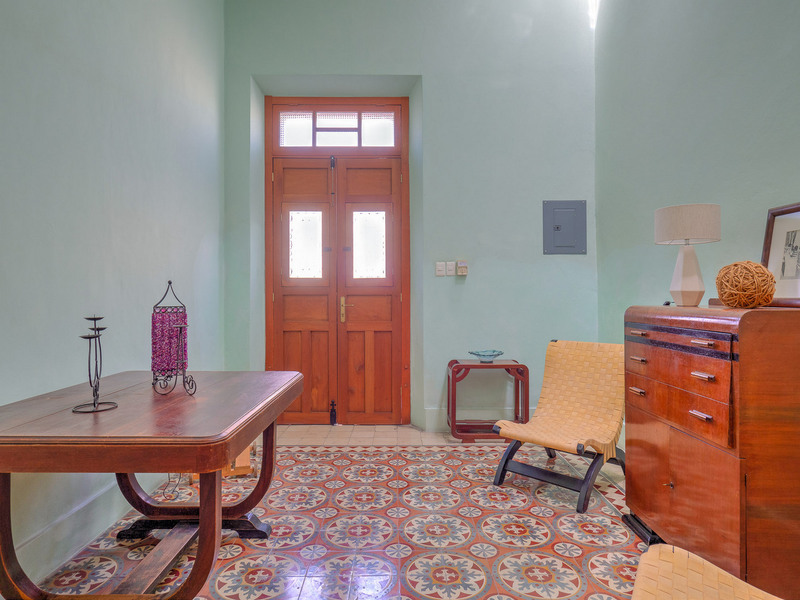 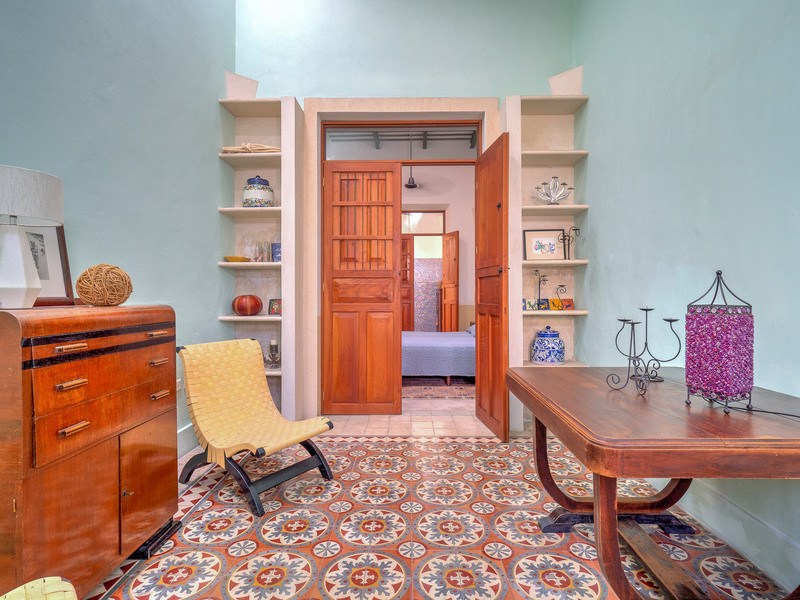 This 2 bedroom home features original pasta tiled floors, high ceilings with wood beams and antique doors as a proper Merida colonial should. 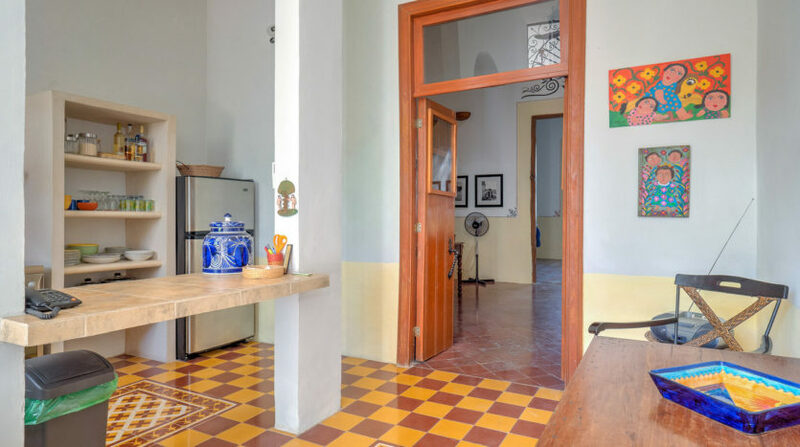 All of the plumbing and electrical systems have been updated and there are ceiling fans, mosquito screens, and even air conditioning throughout. 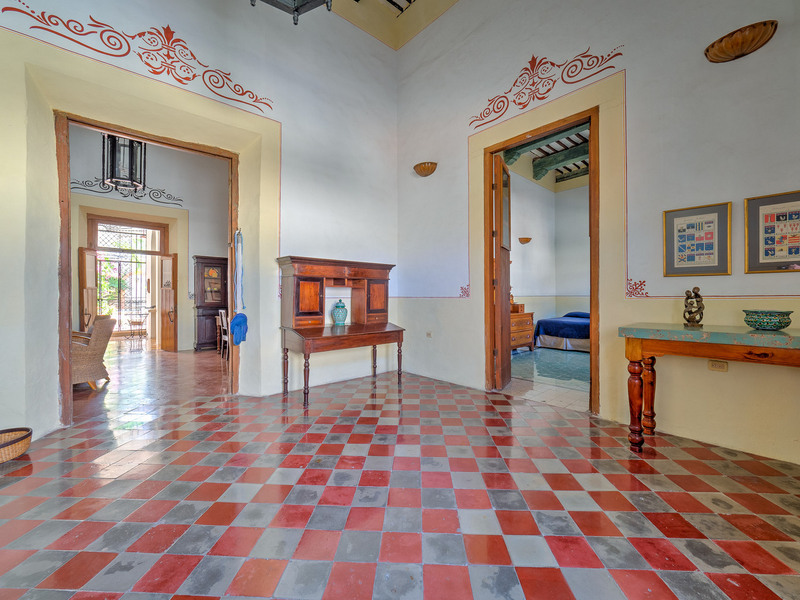 The front foyer leads to both the first bedroom and the combination living and dining room. 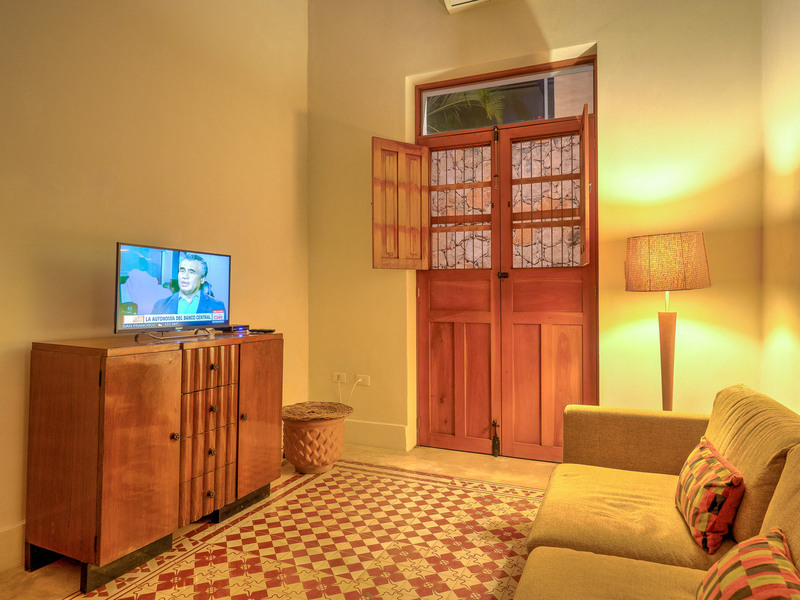 The home also has a television room and study/office near the bedrooms. 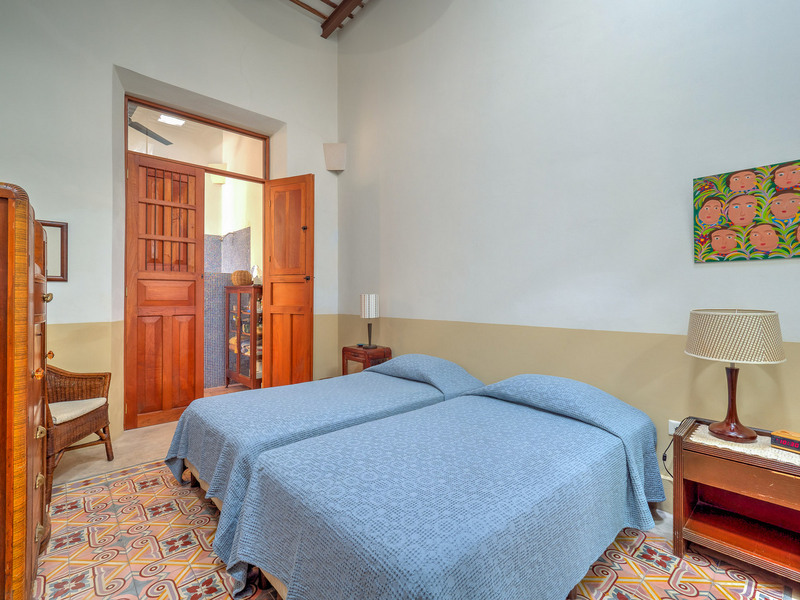 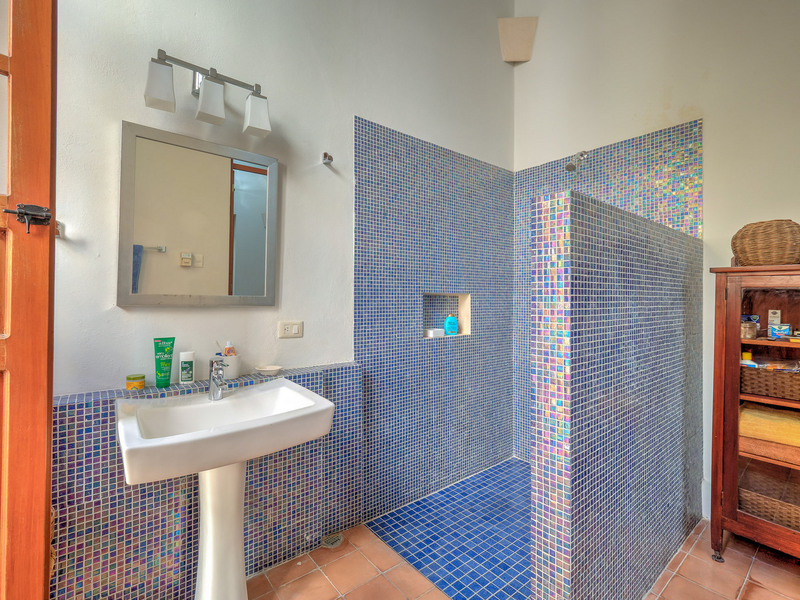 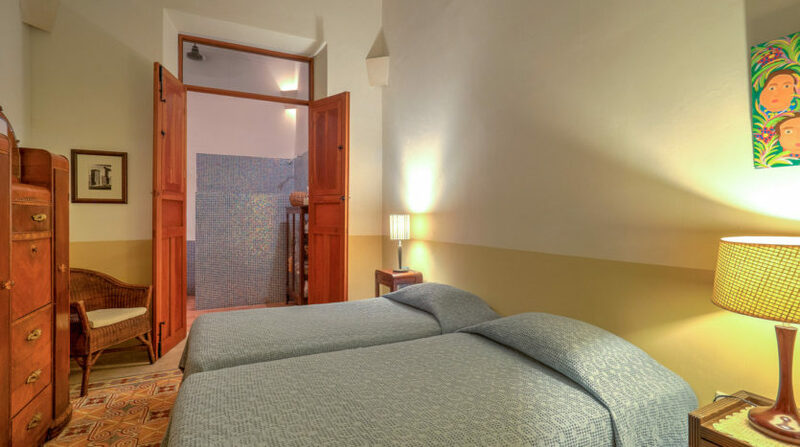 Both bedrooms are private, tastefully decorated and spacious. 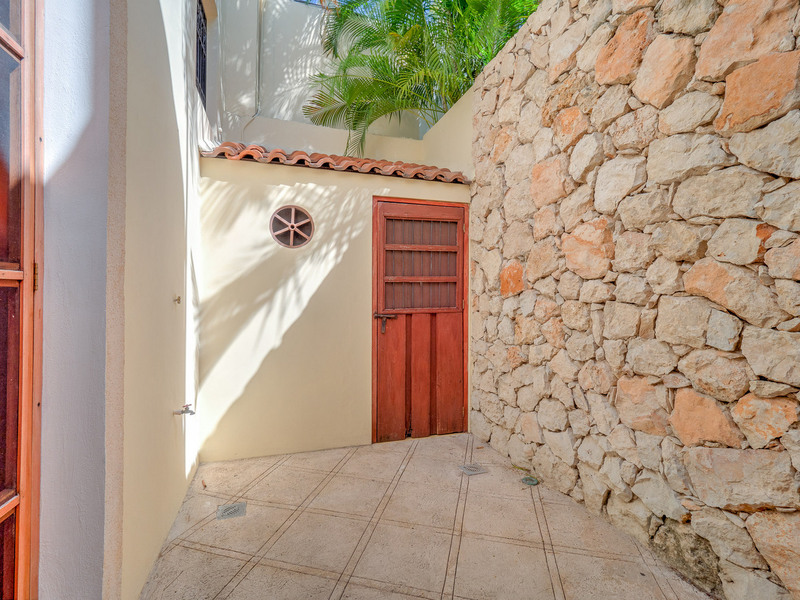 There is also plenty of storage built into the home as well as a laundry room accessed from the courtyard. 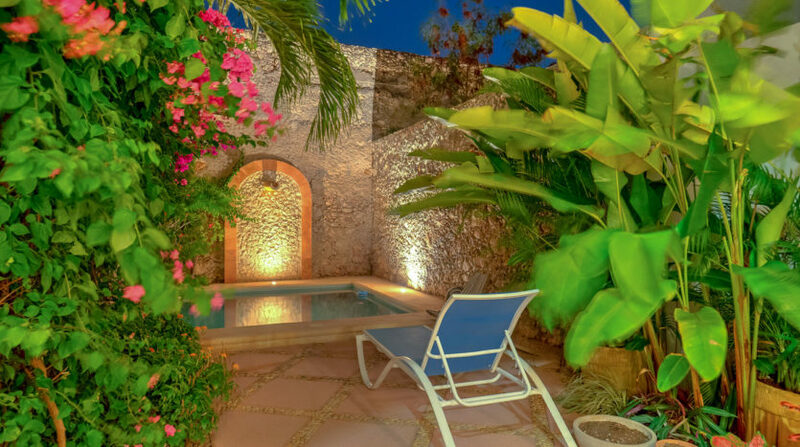 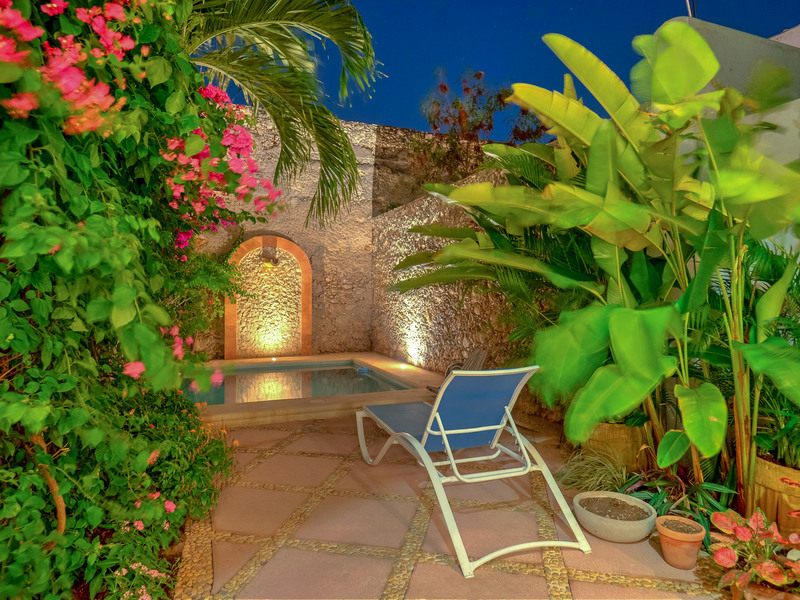 The covered rear terrace is a shaded retreat to dine or relax by the pool which is filtered and has a fountain. 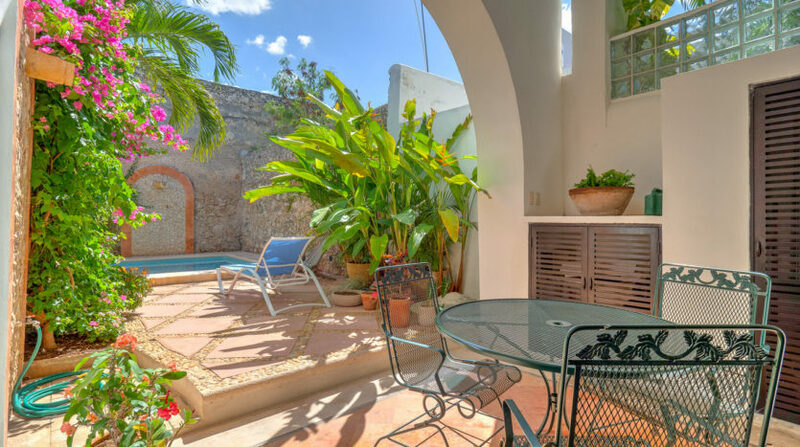 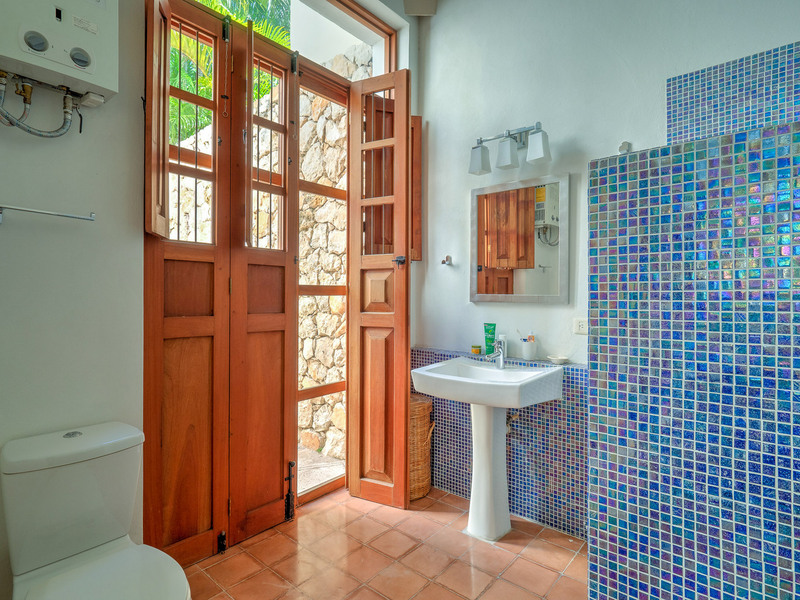 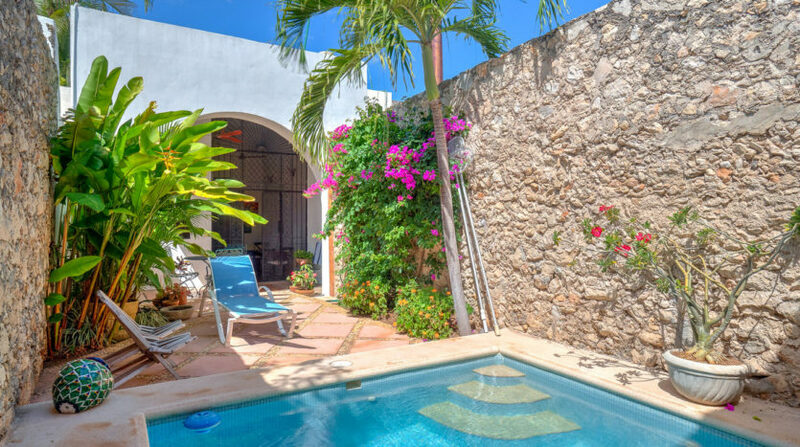 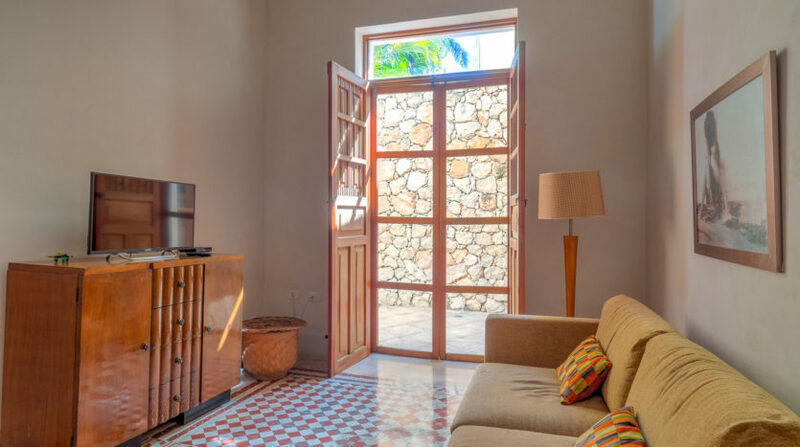 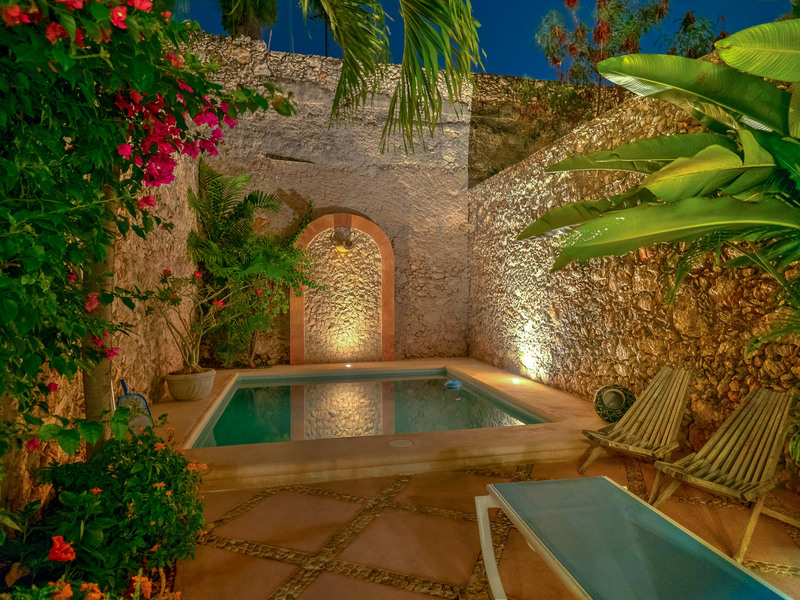 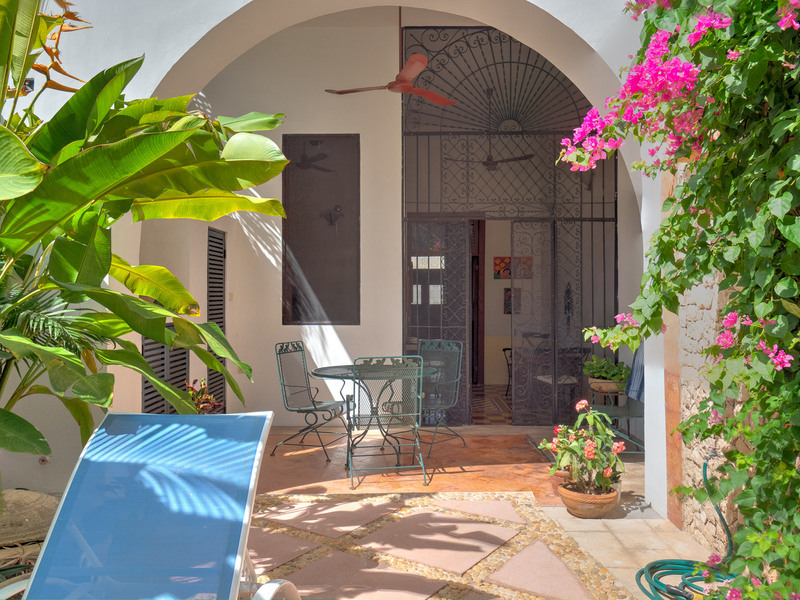 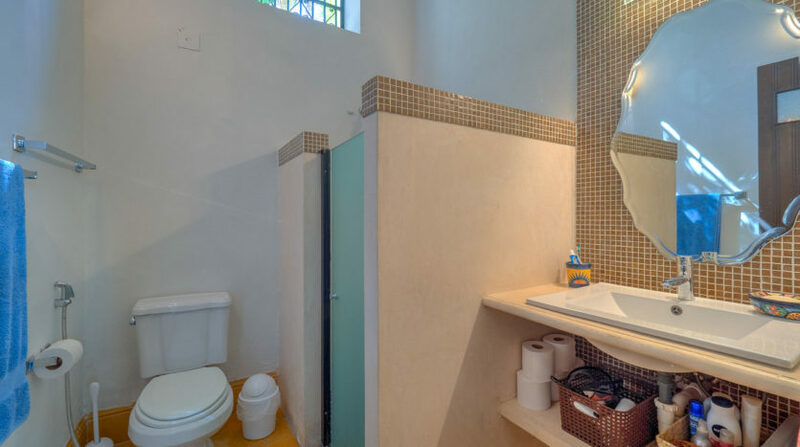 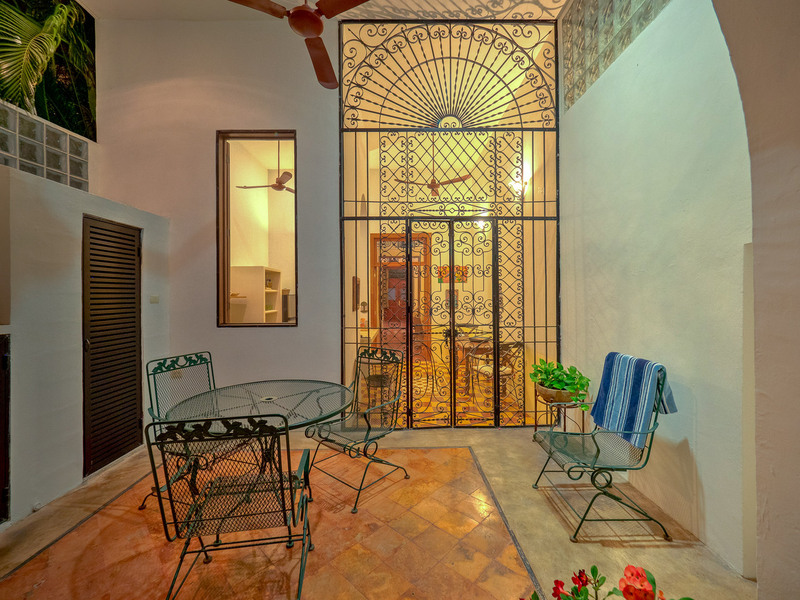 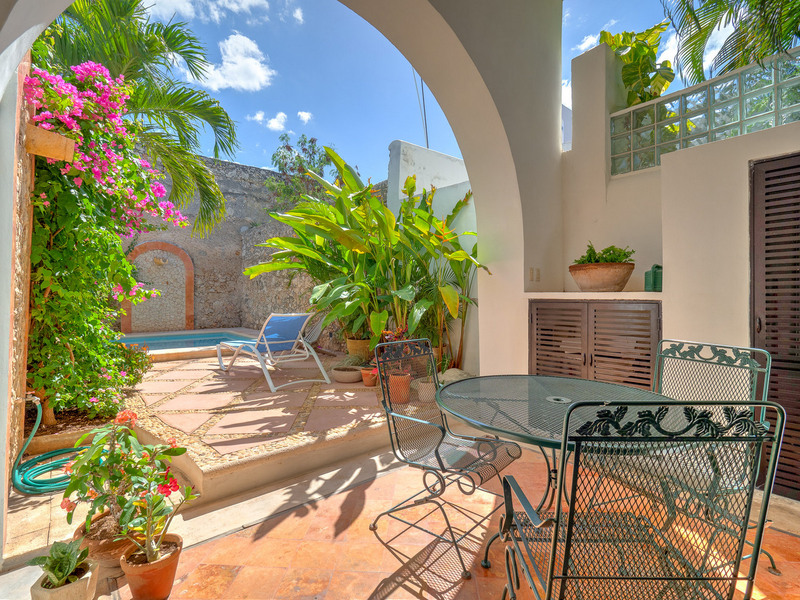 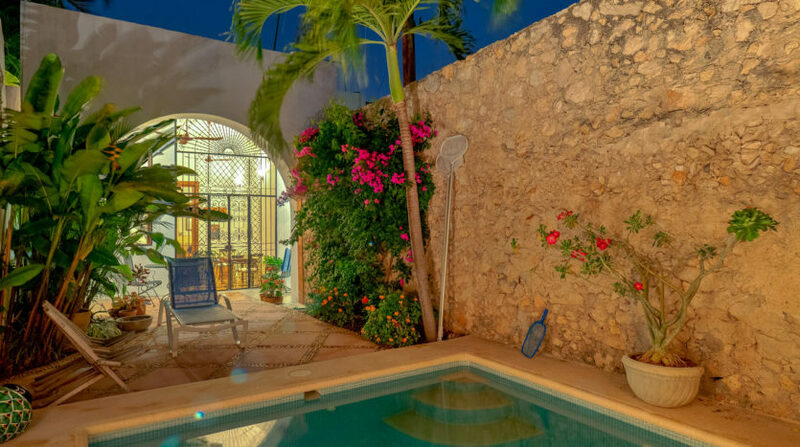 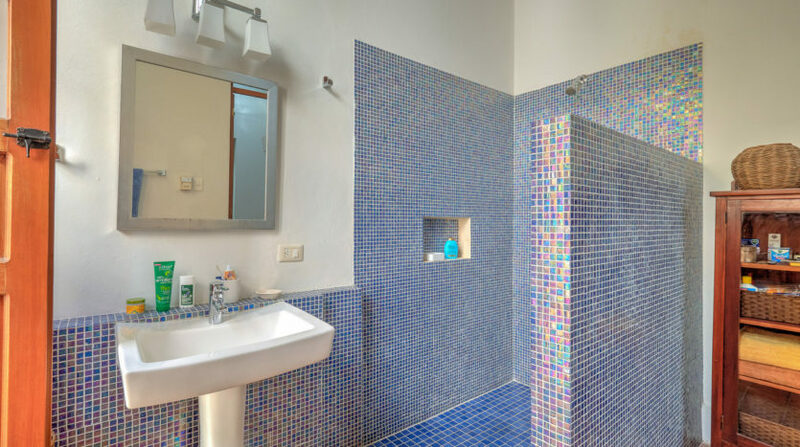 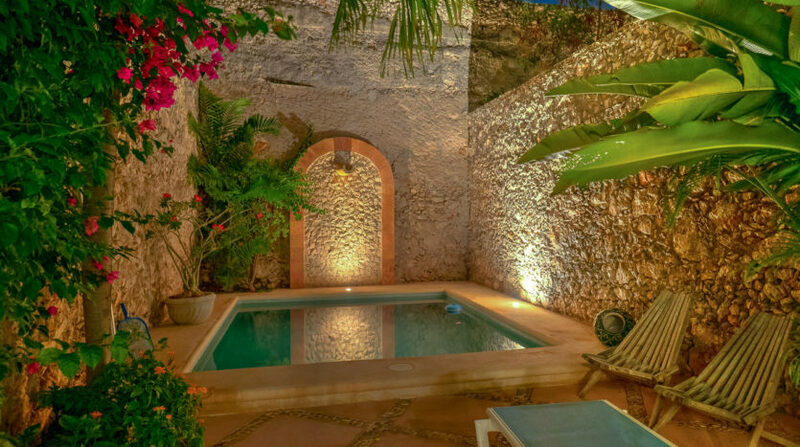 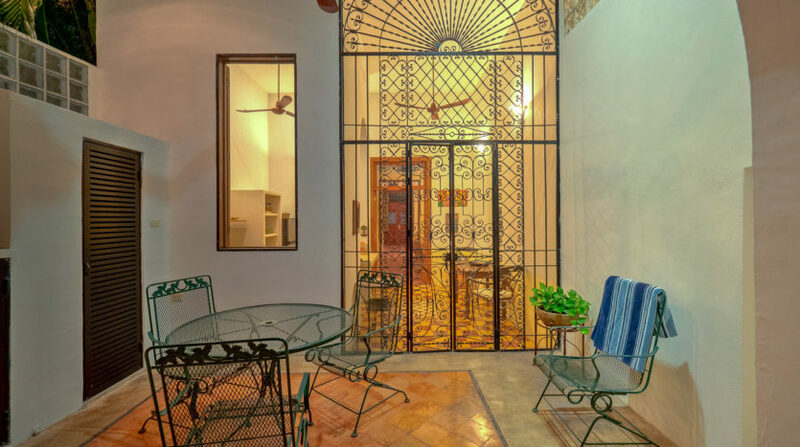 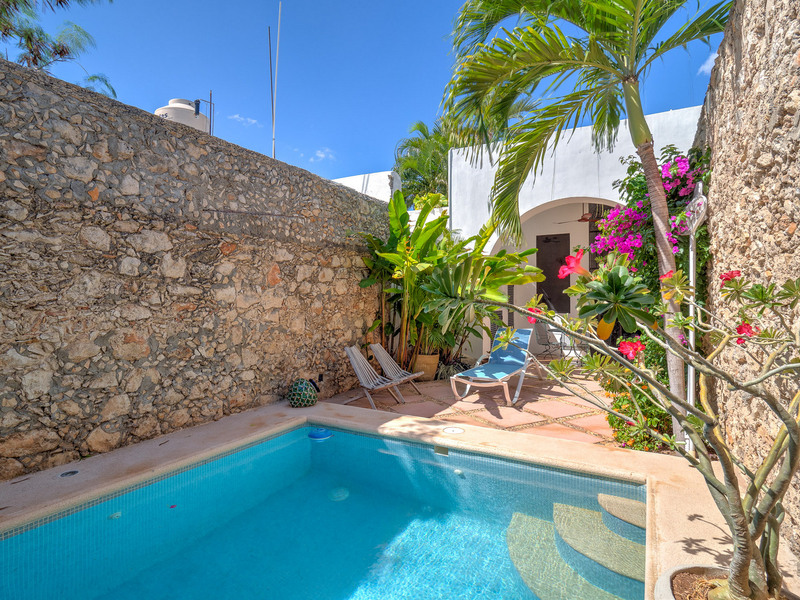 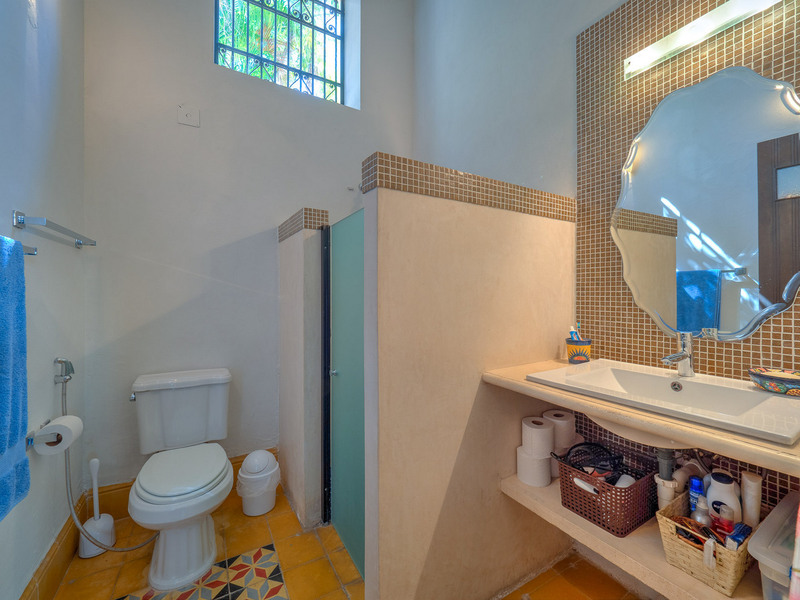 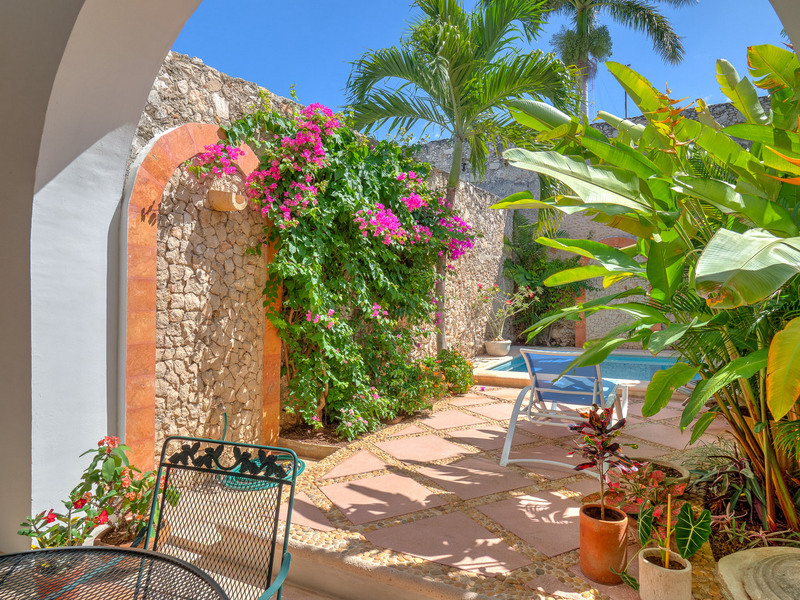 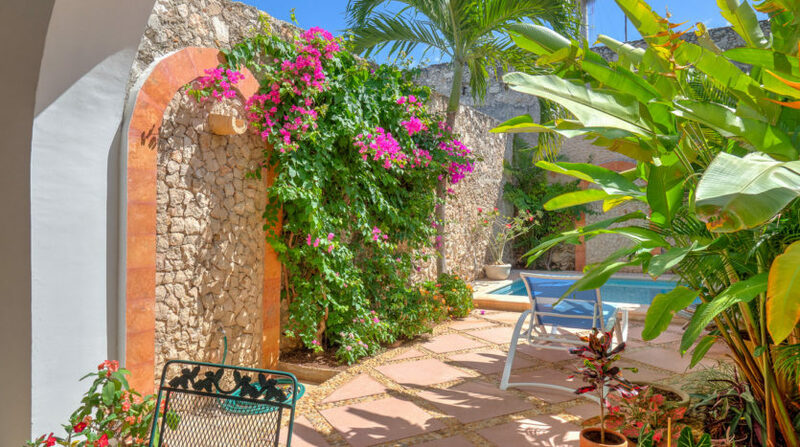 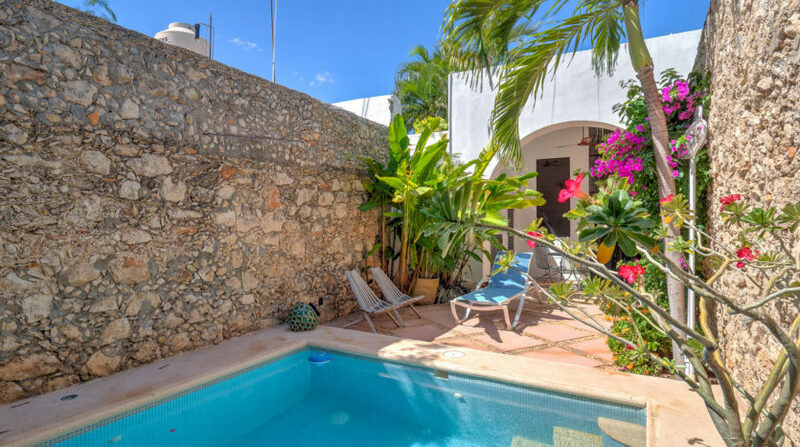 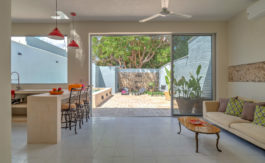 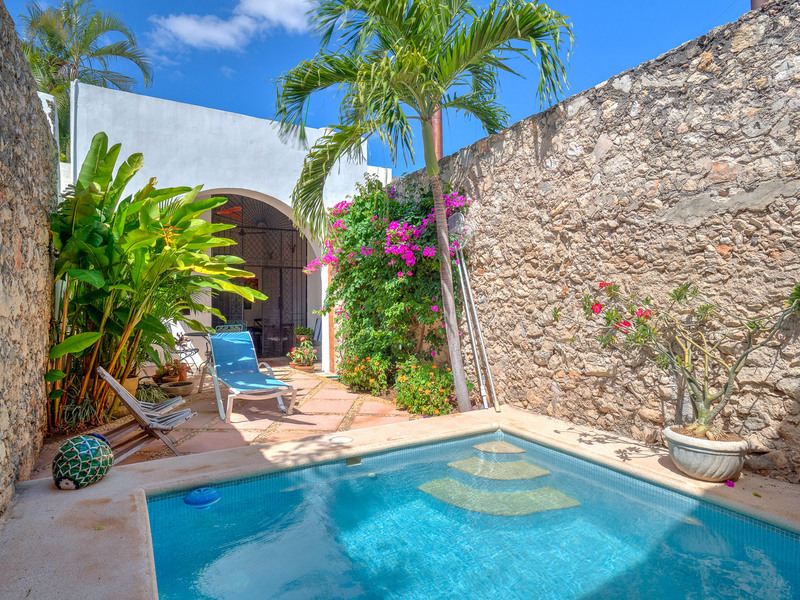 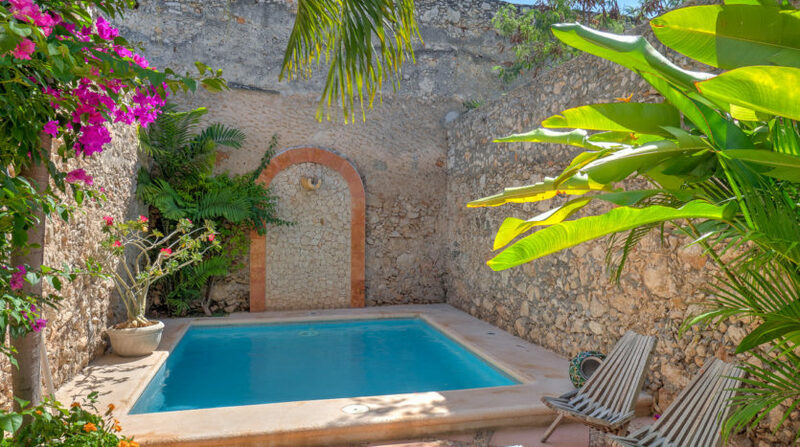 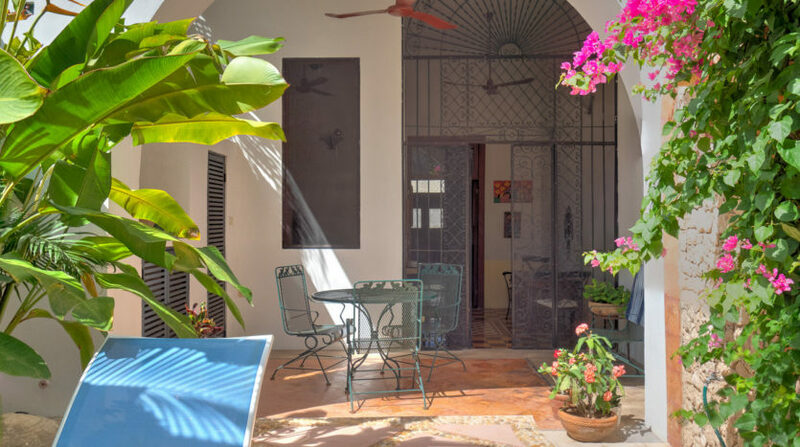 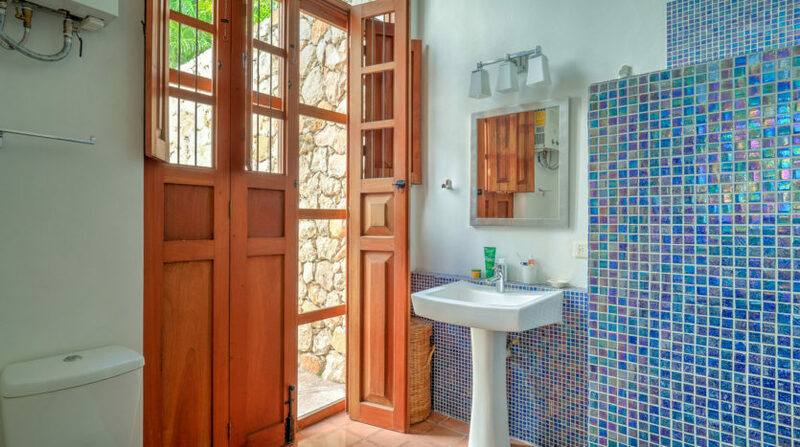 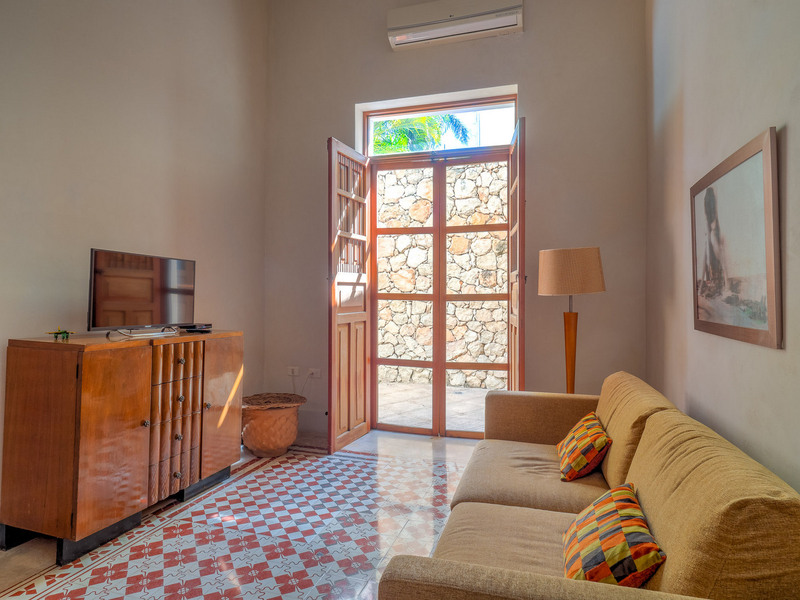 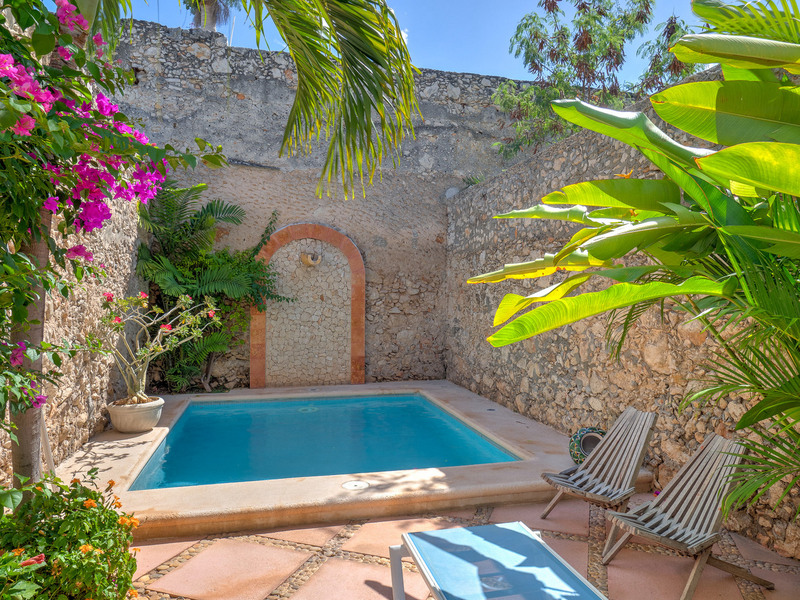 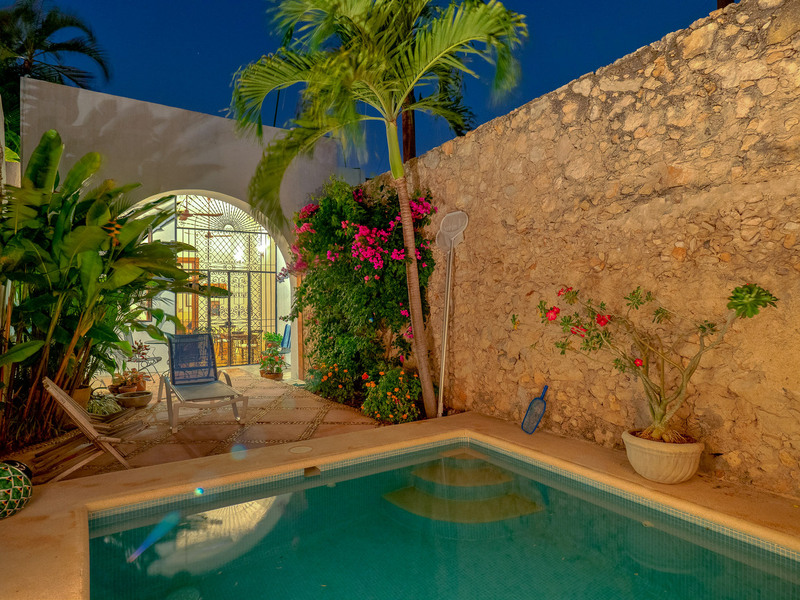 This lovingly renovated beauty could be your perfect vacation home, whether to escape the cold winters and enjoy living in the sun of the Yucatan or as an incredible base from which to explore this amazing city and culture. 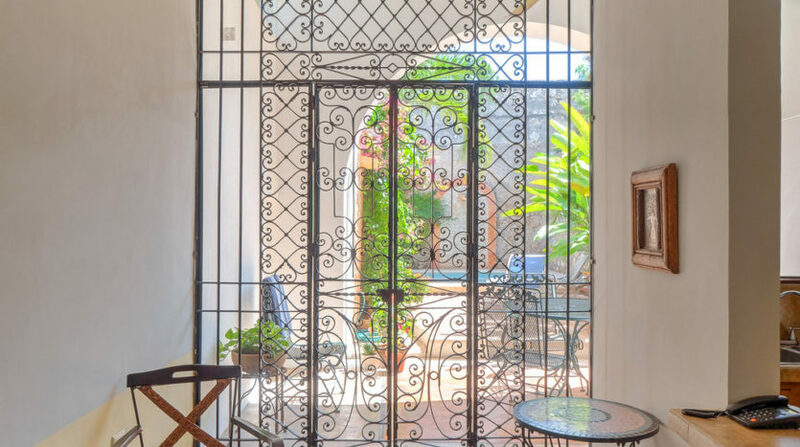 Contact DH Real Estate to reserve this amazing property!